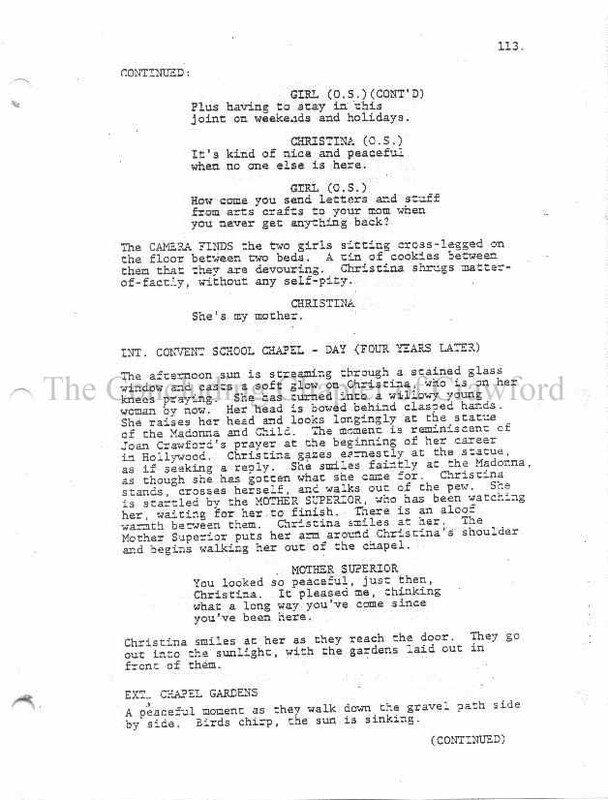 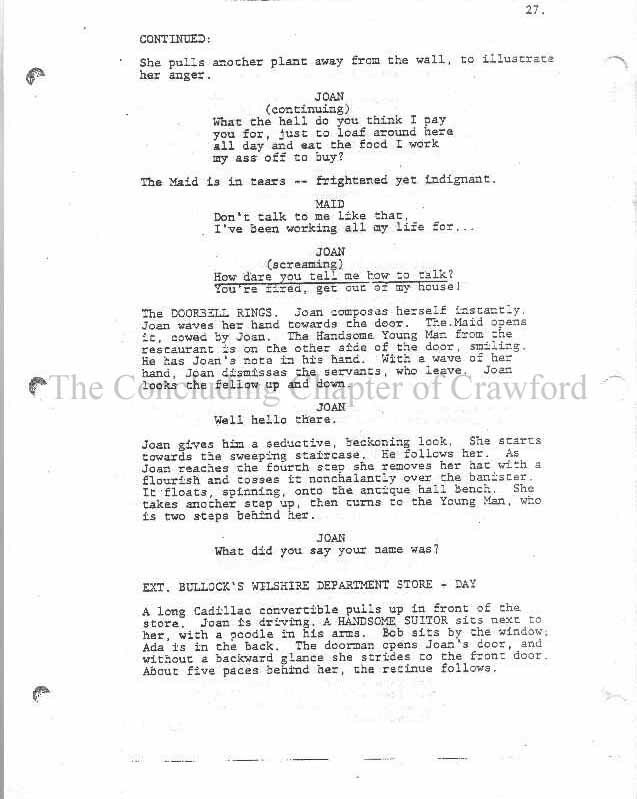 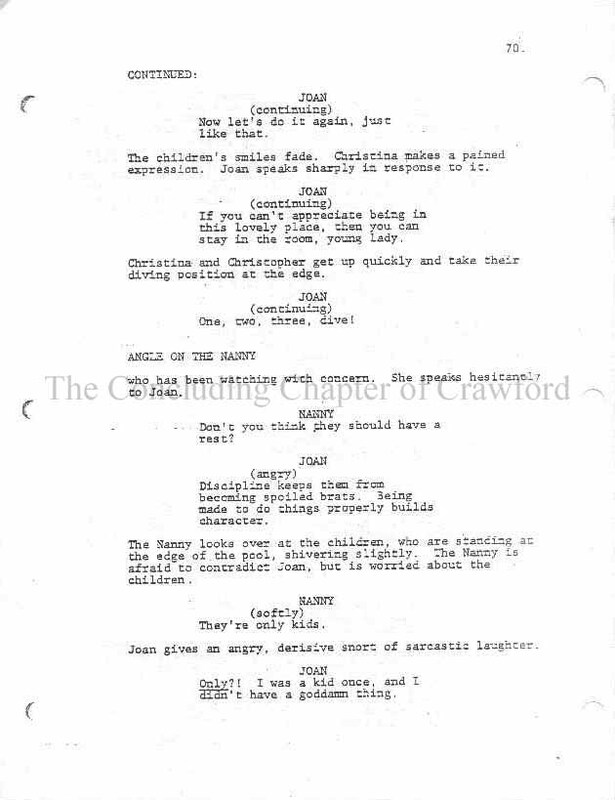 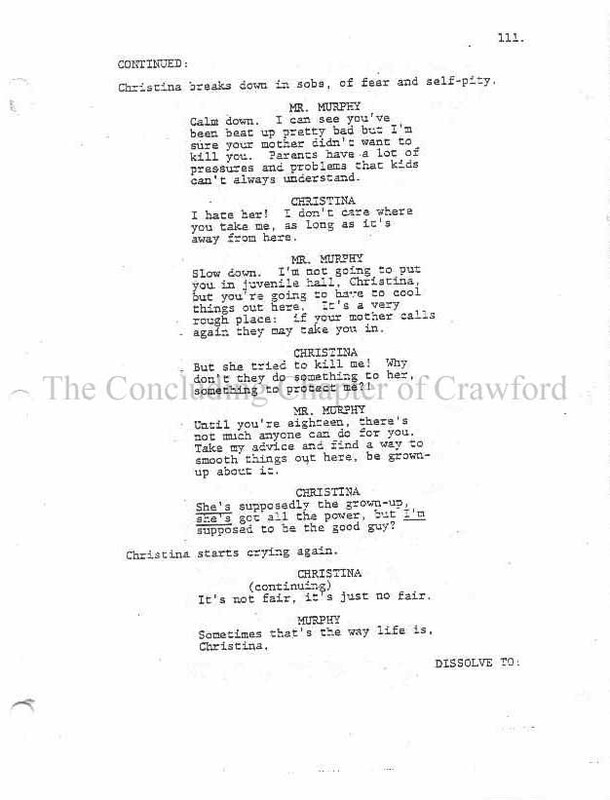 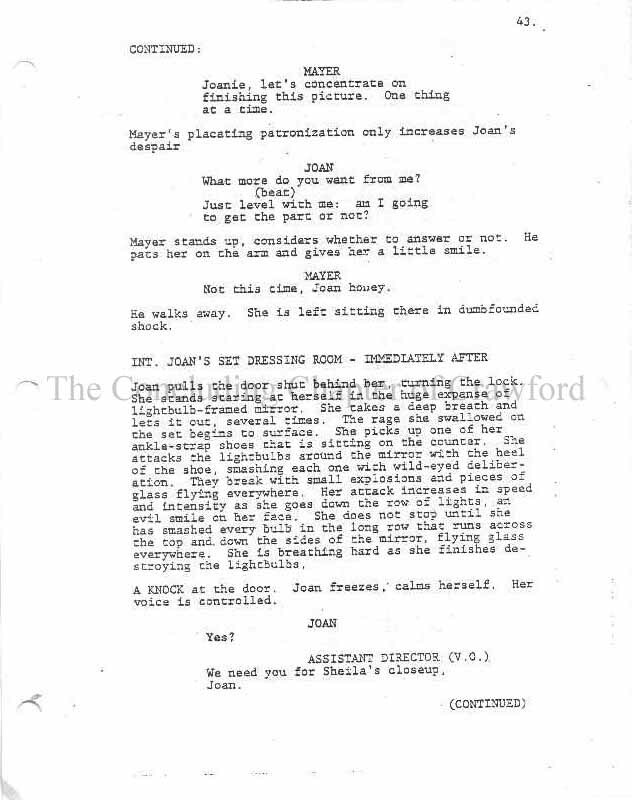 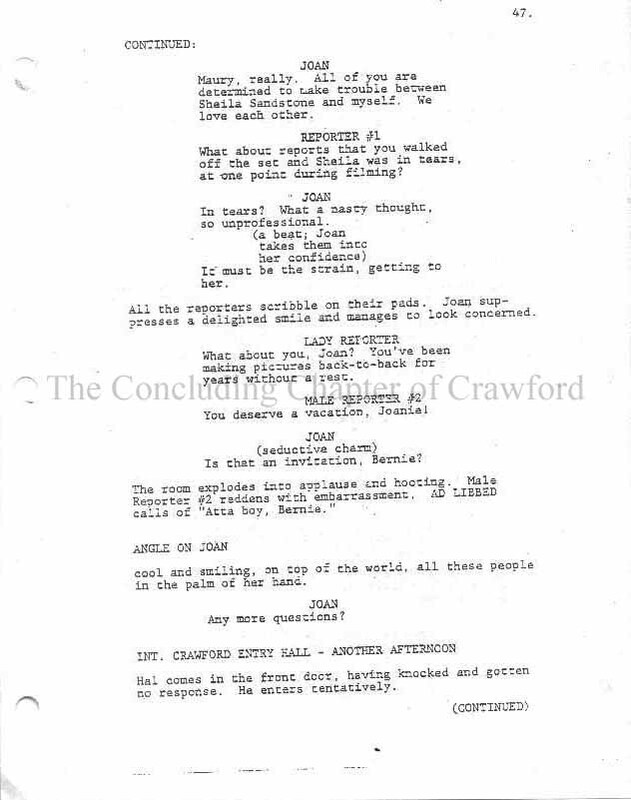 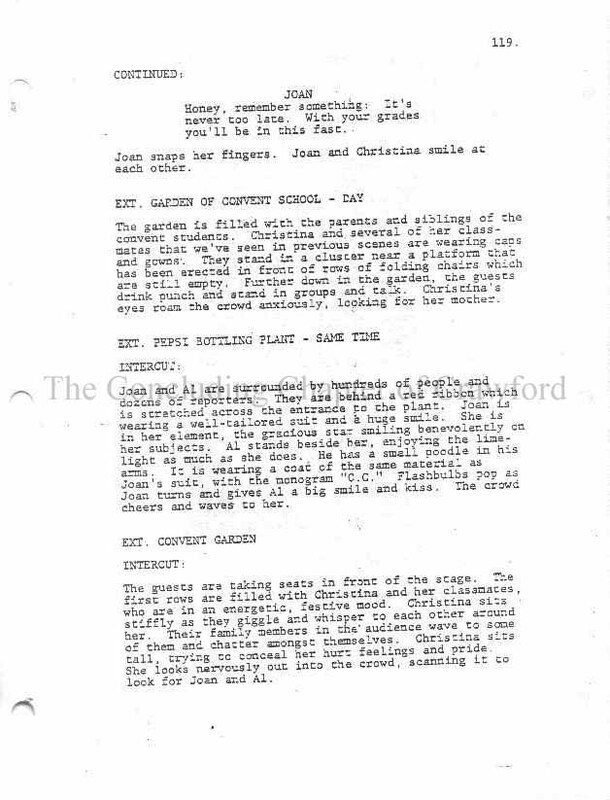 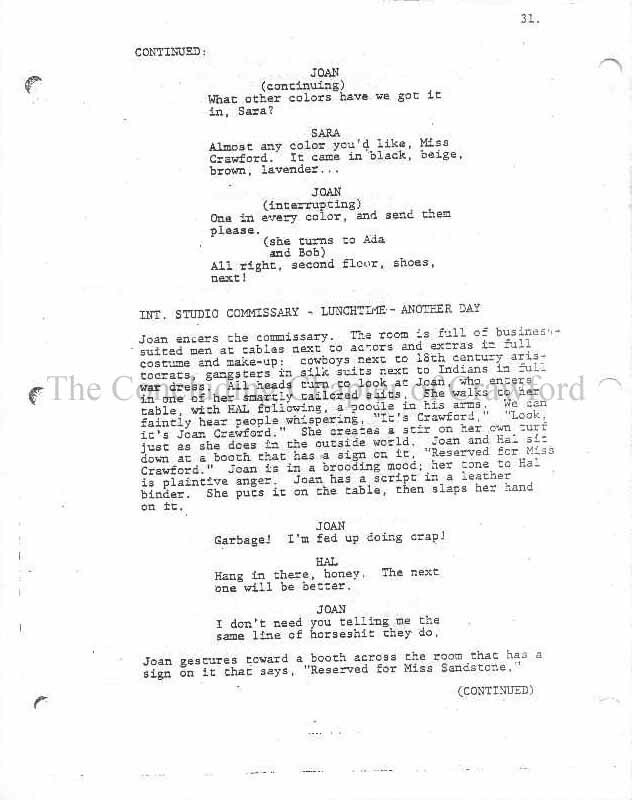 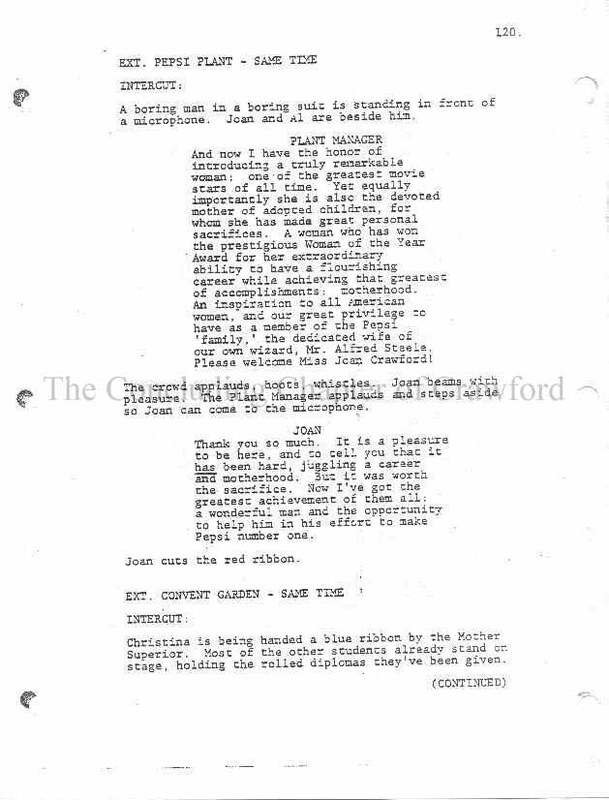 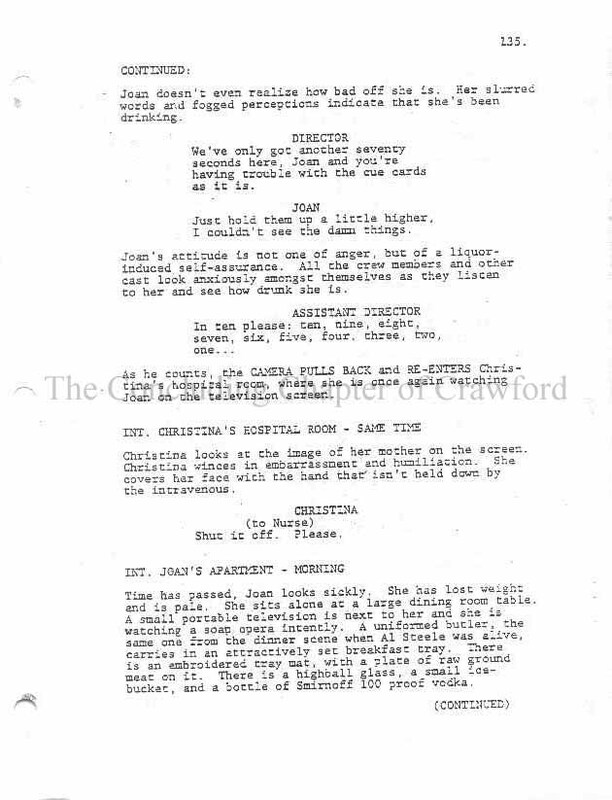 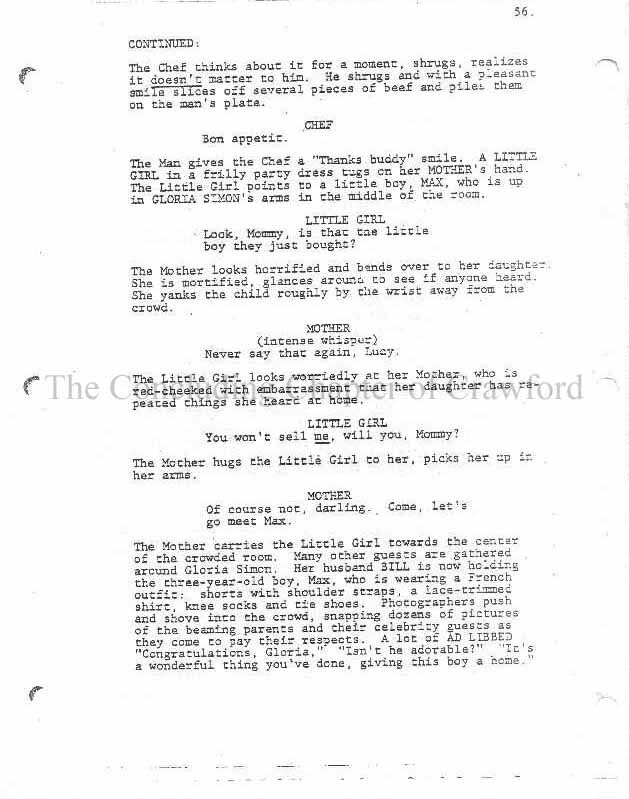 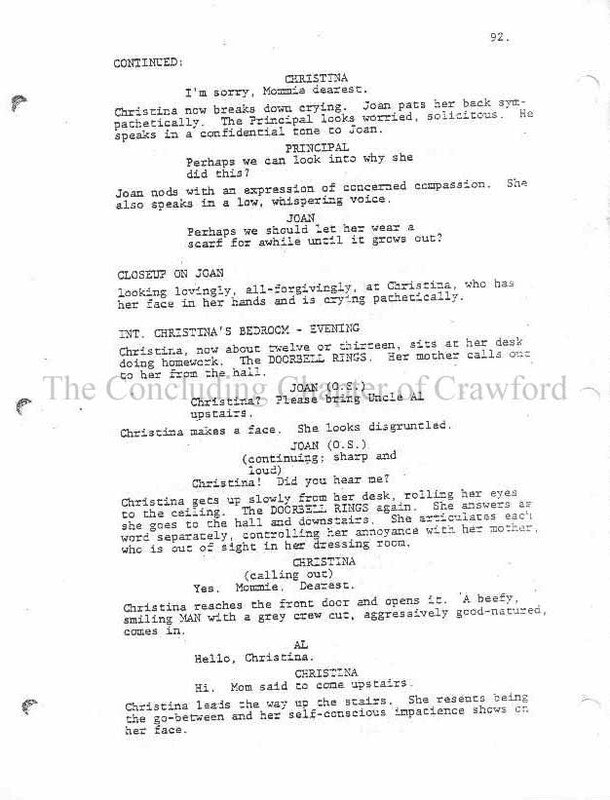 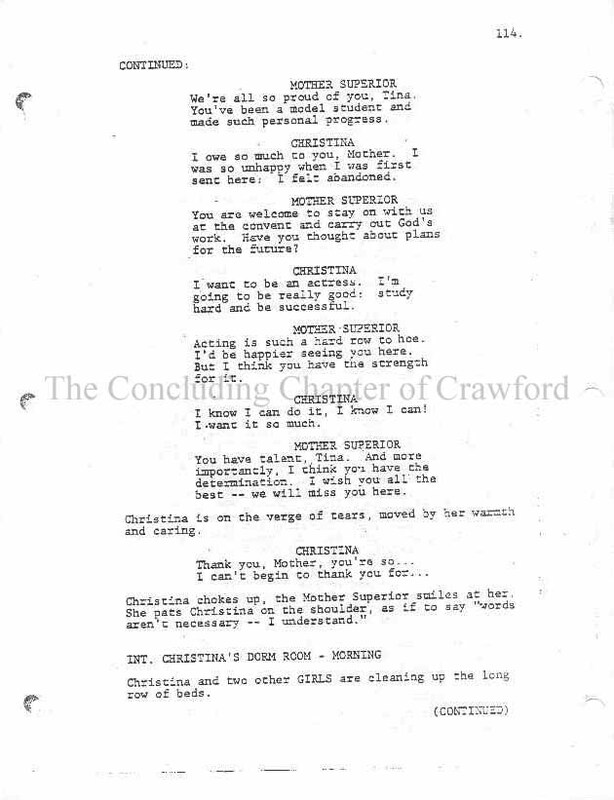 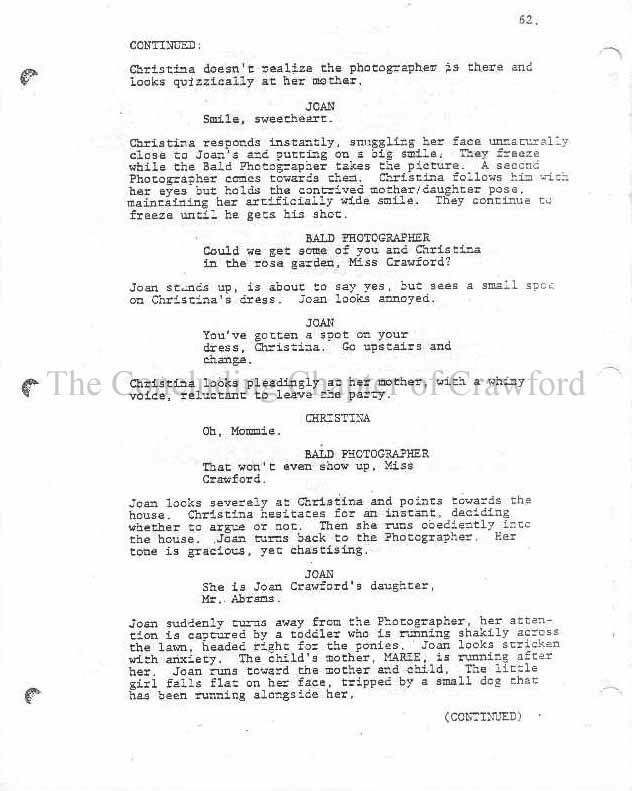 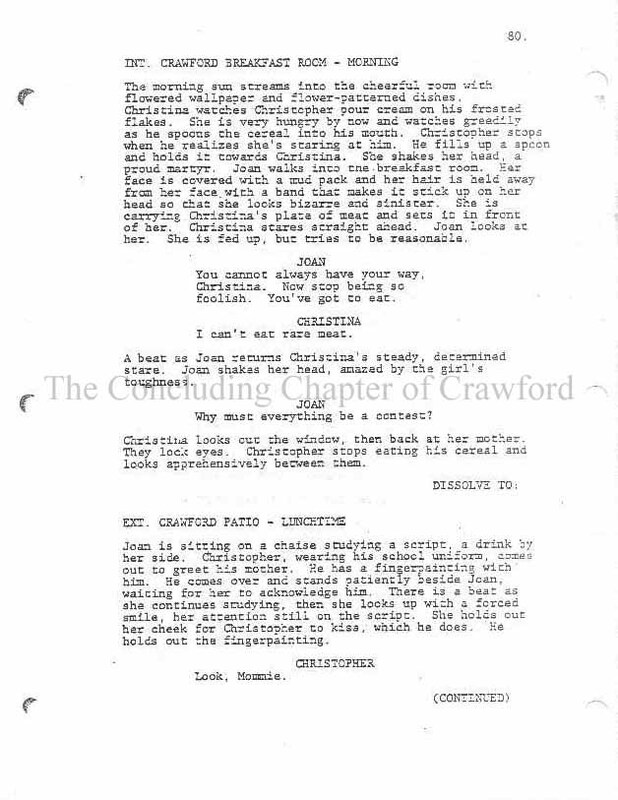 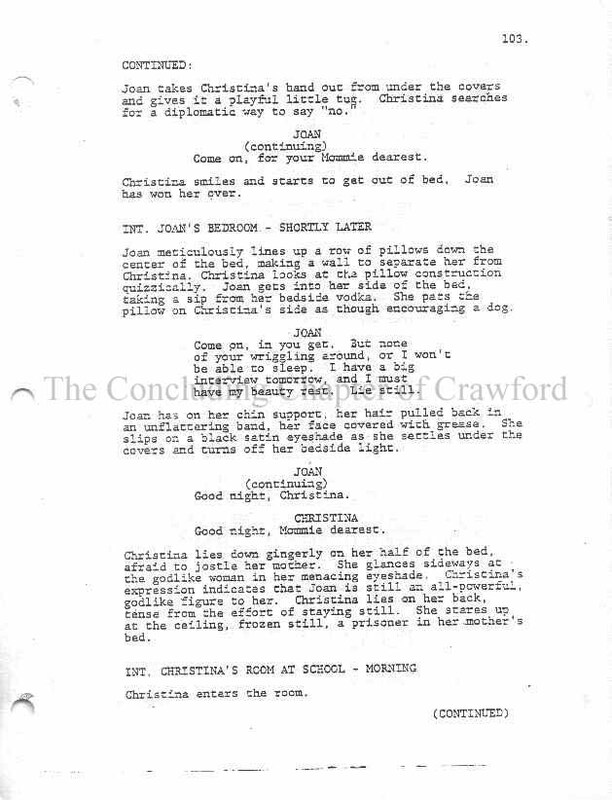 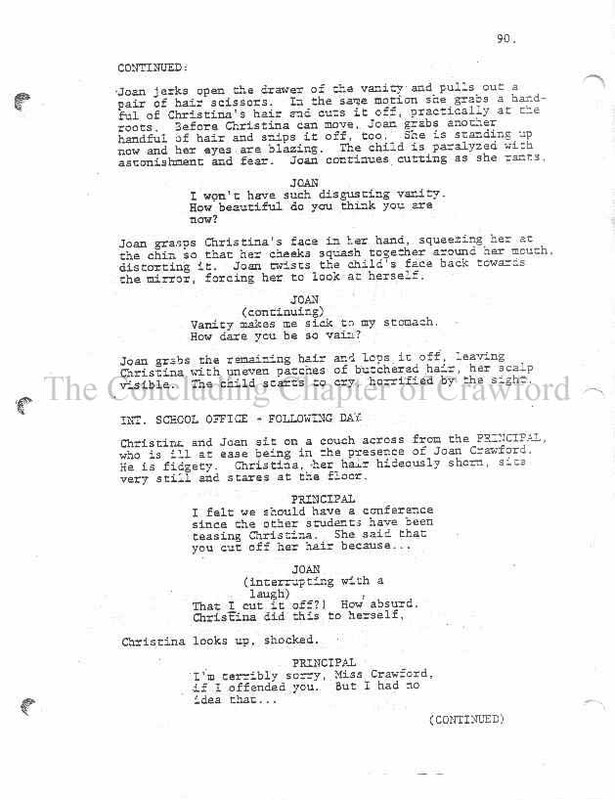 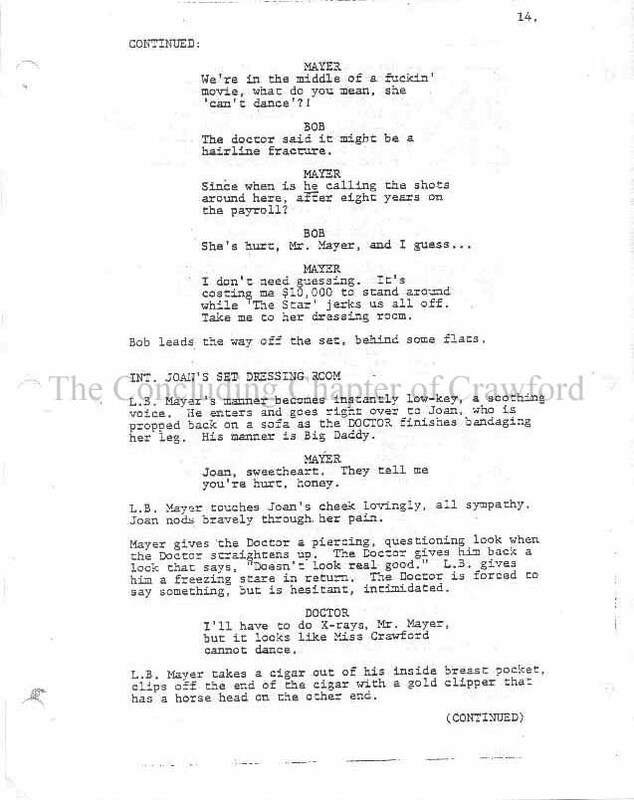 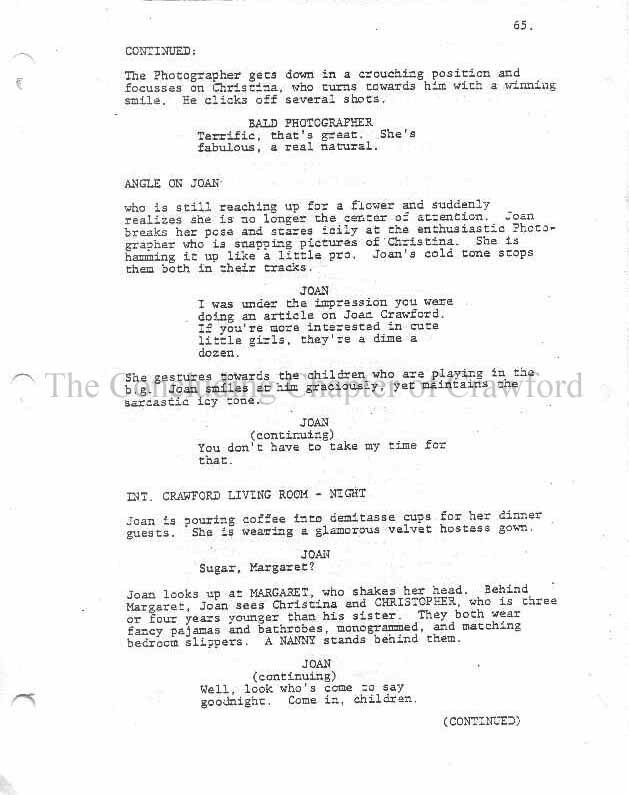 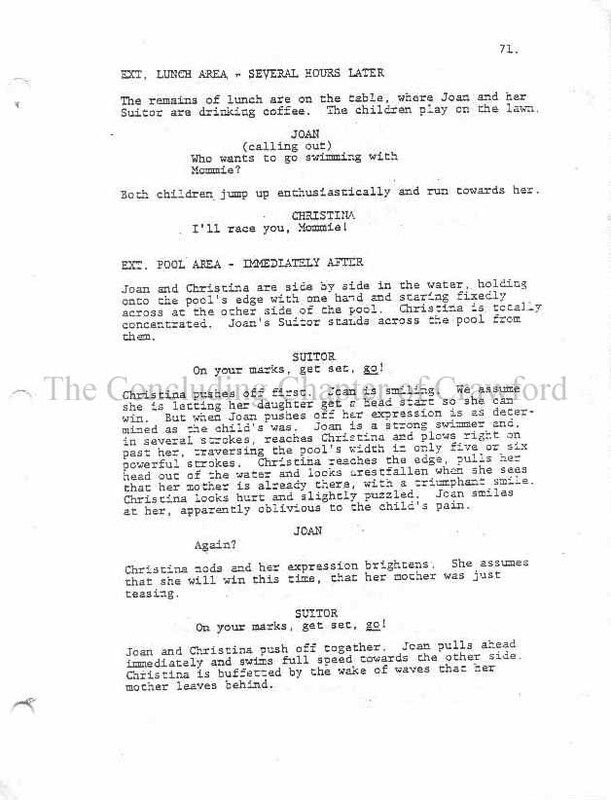 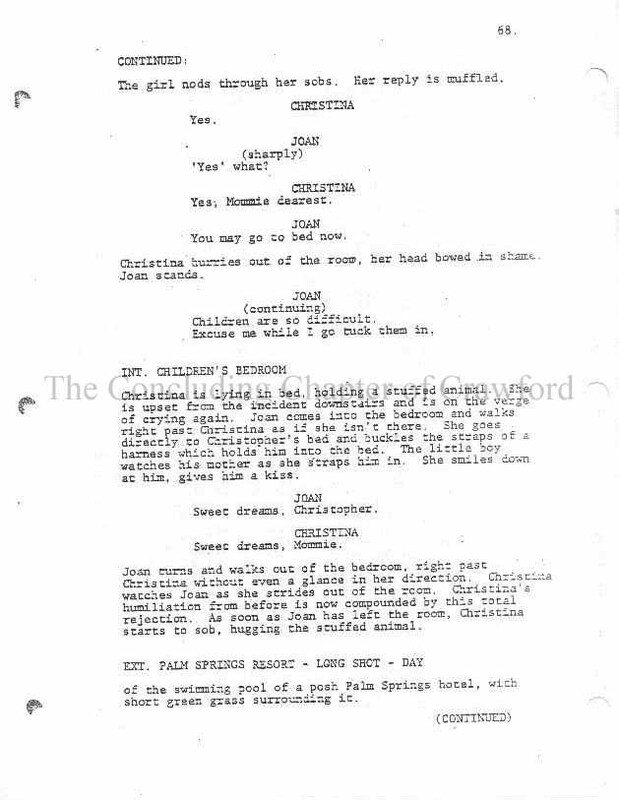 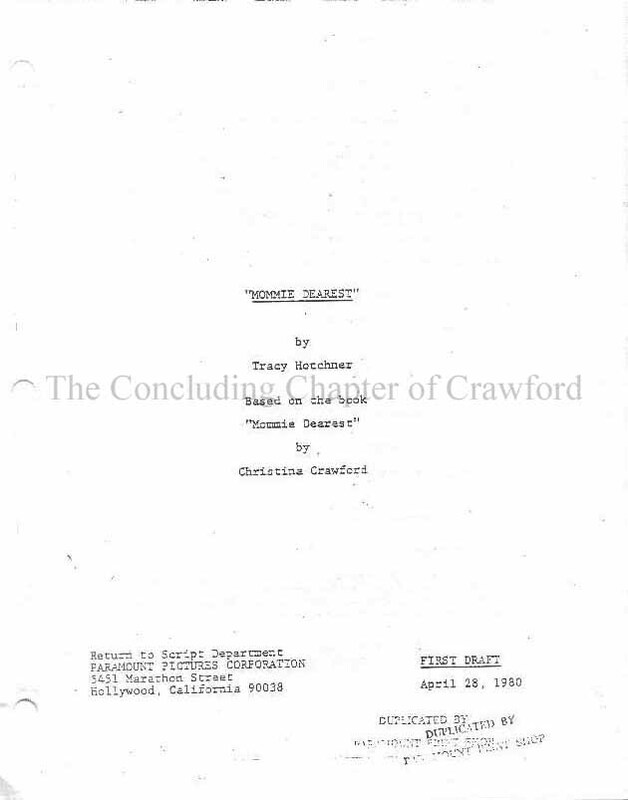 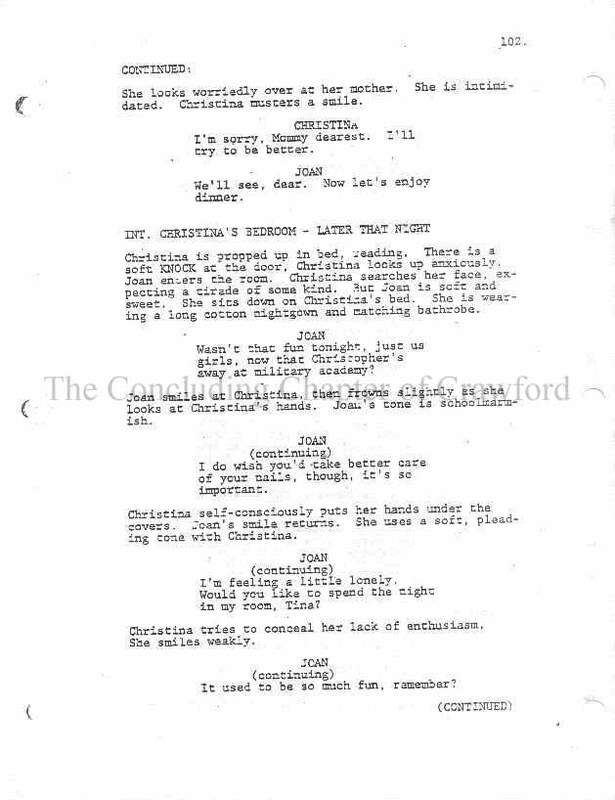 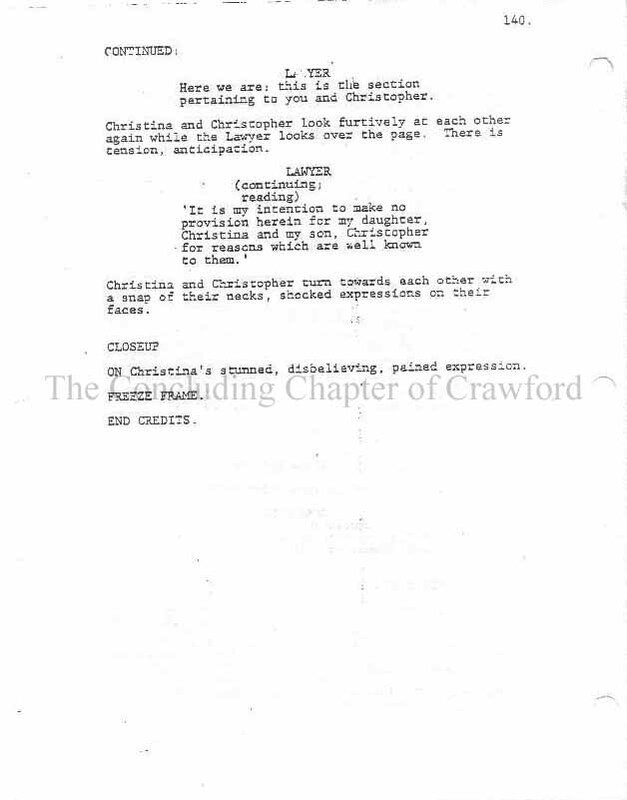 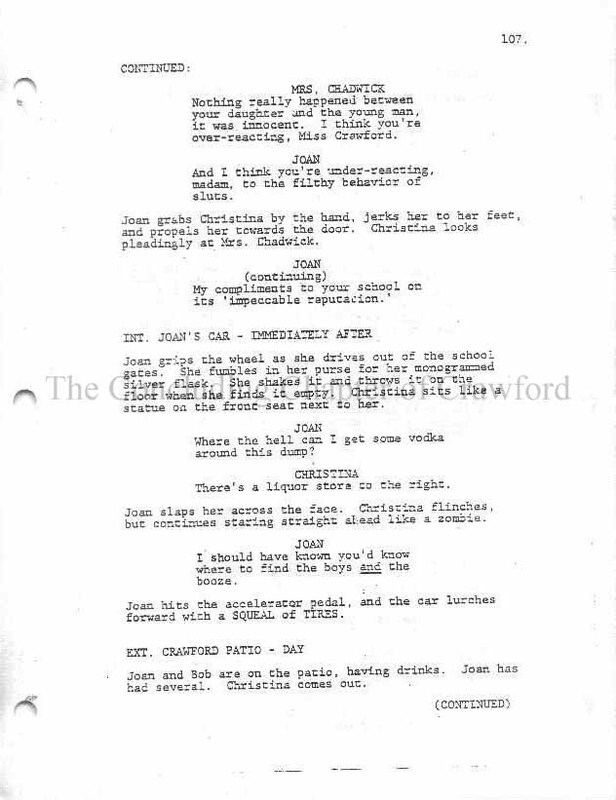 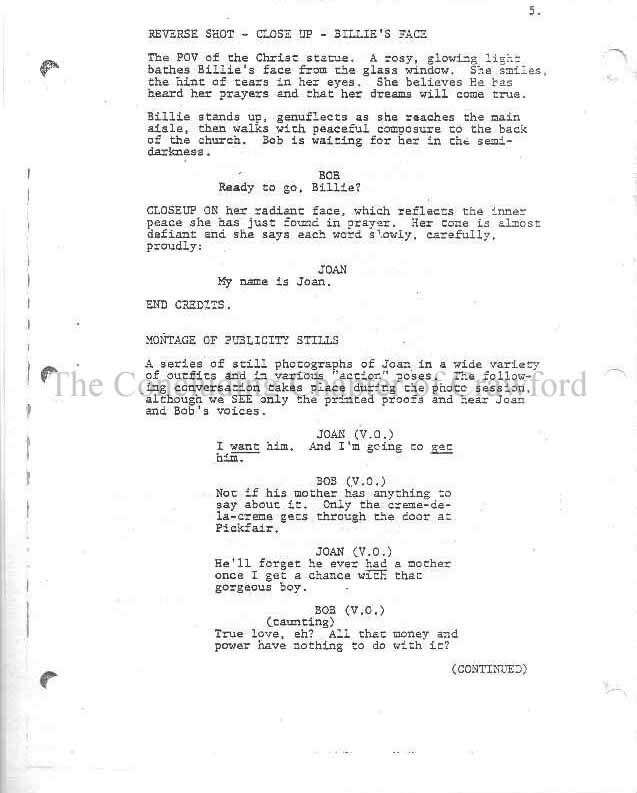 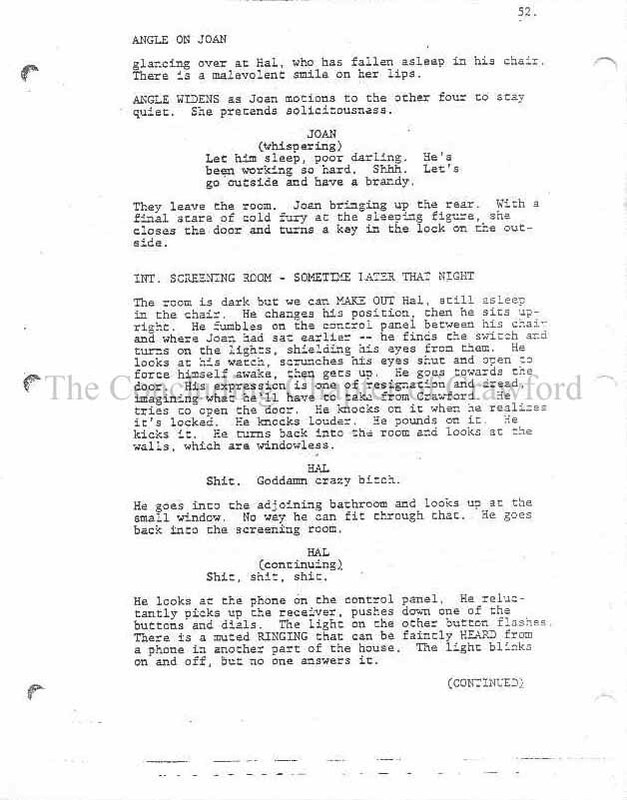 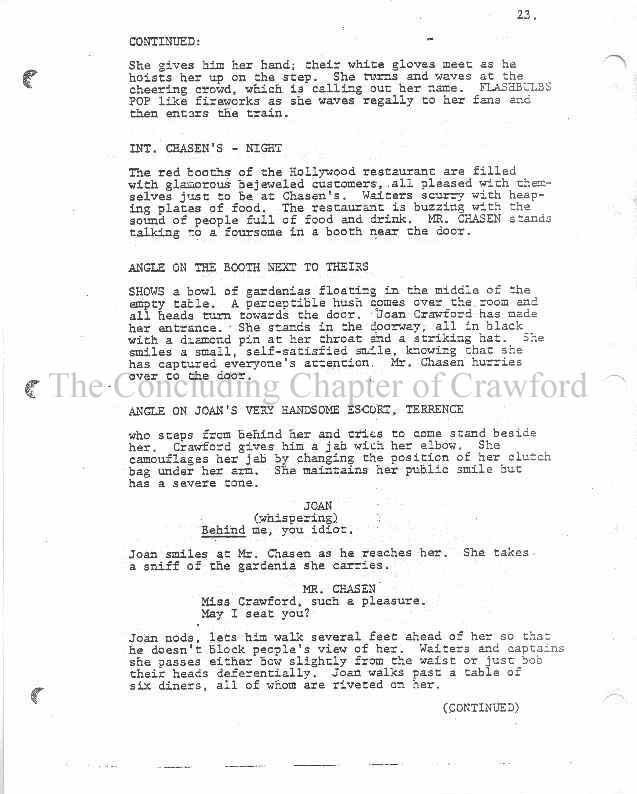 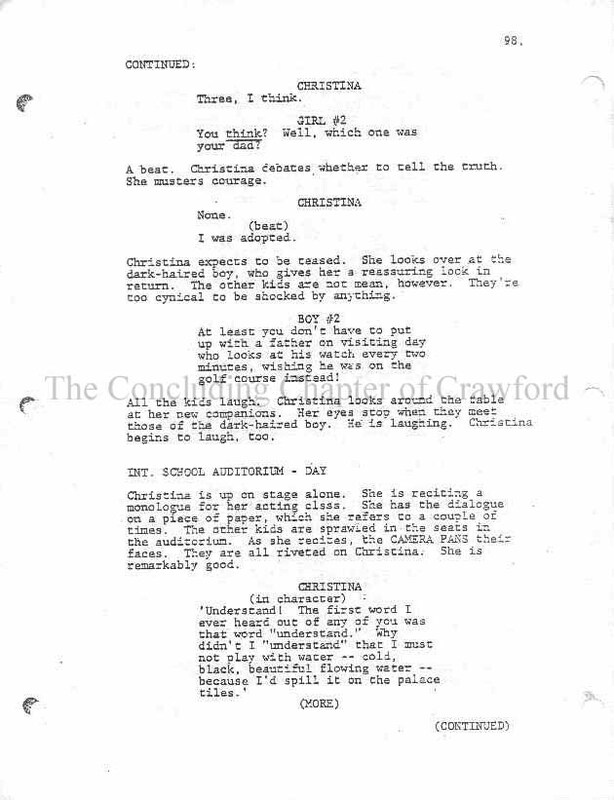 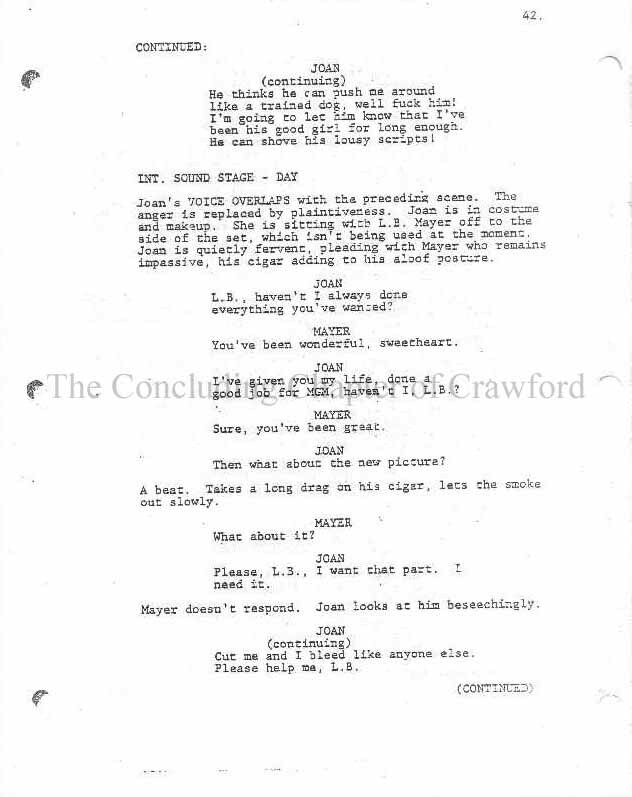 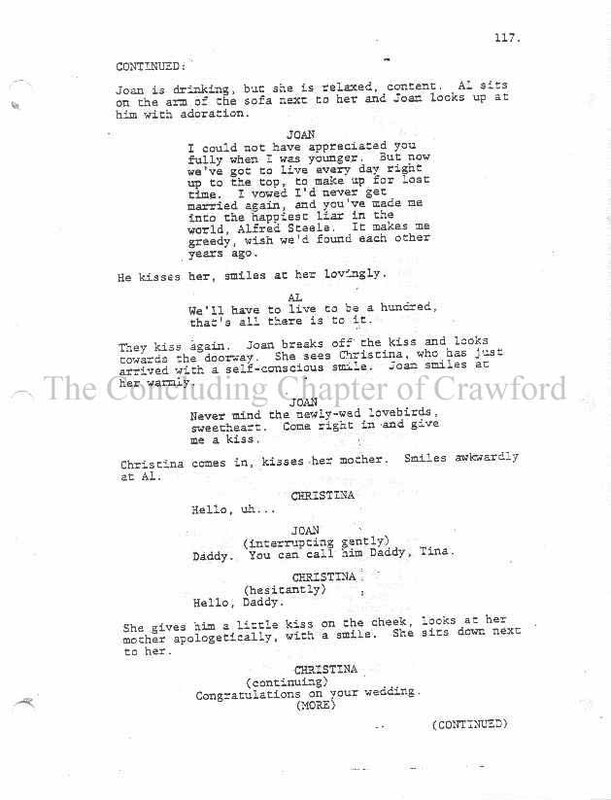 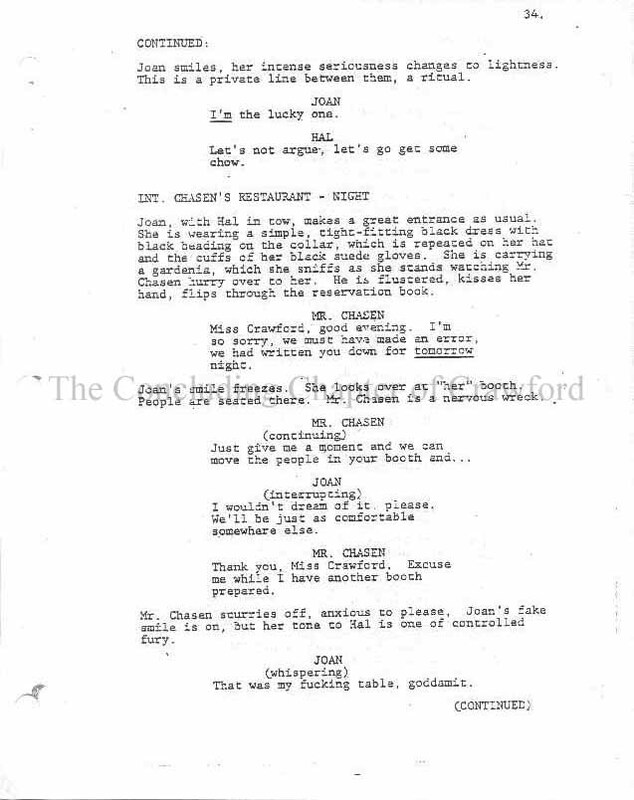 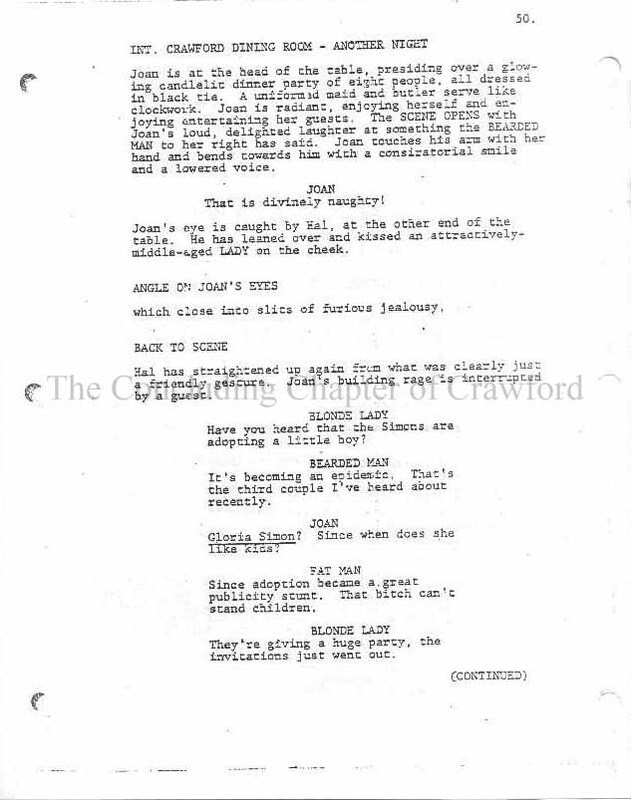 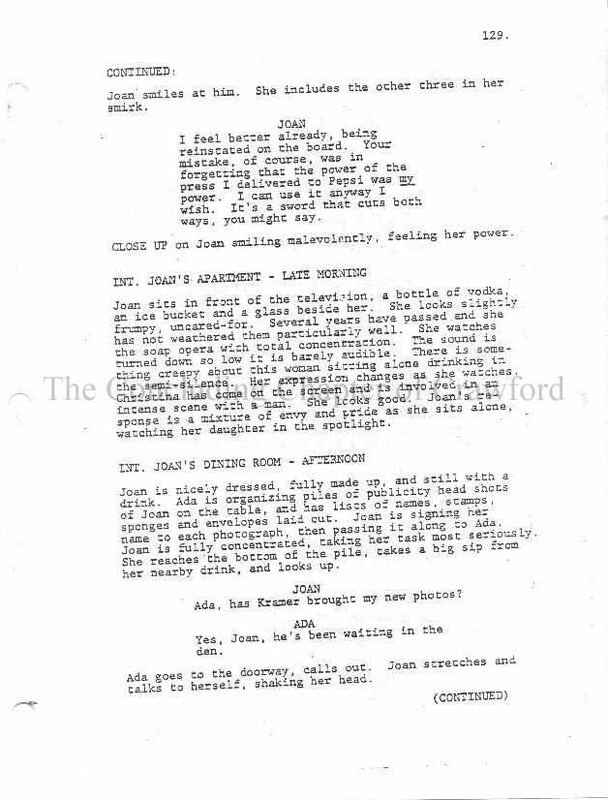 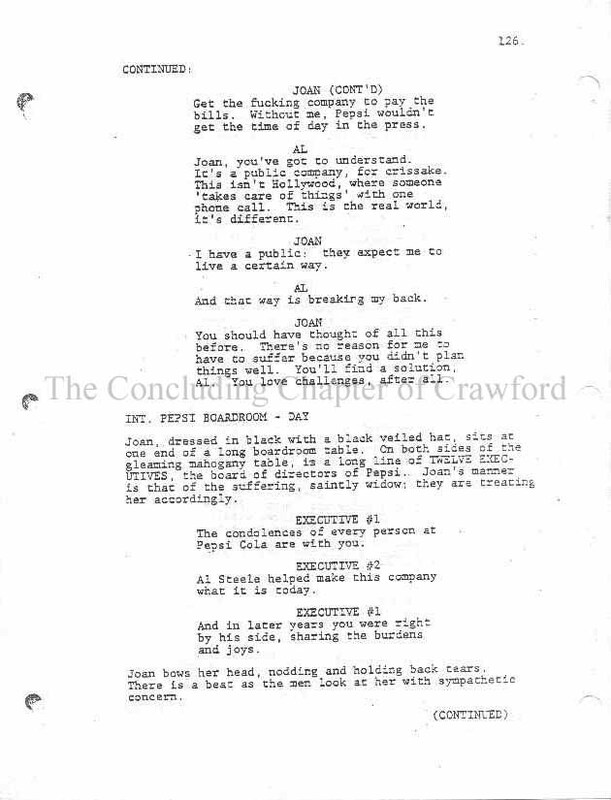 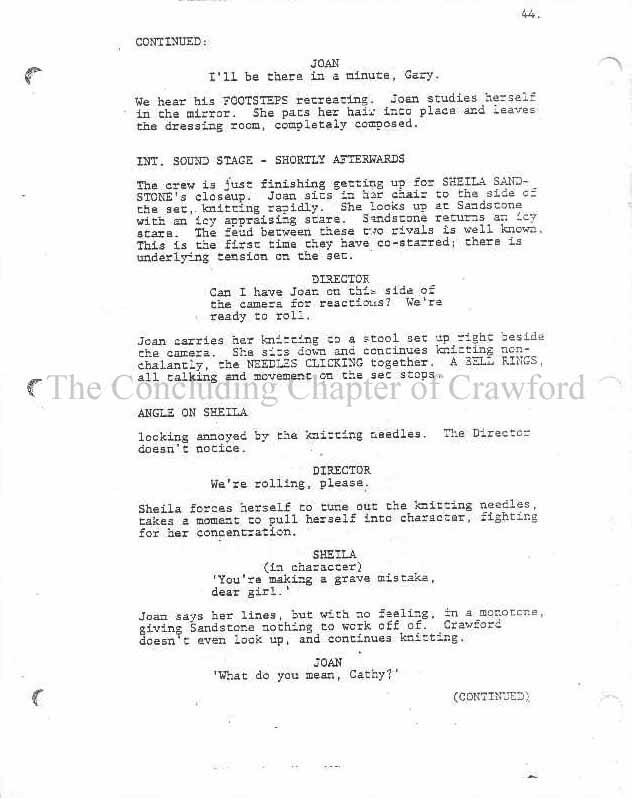 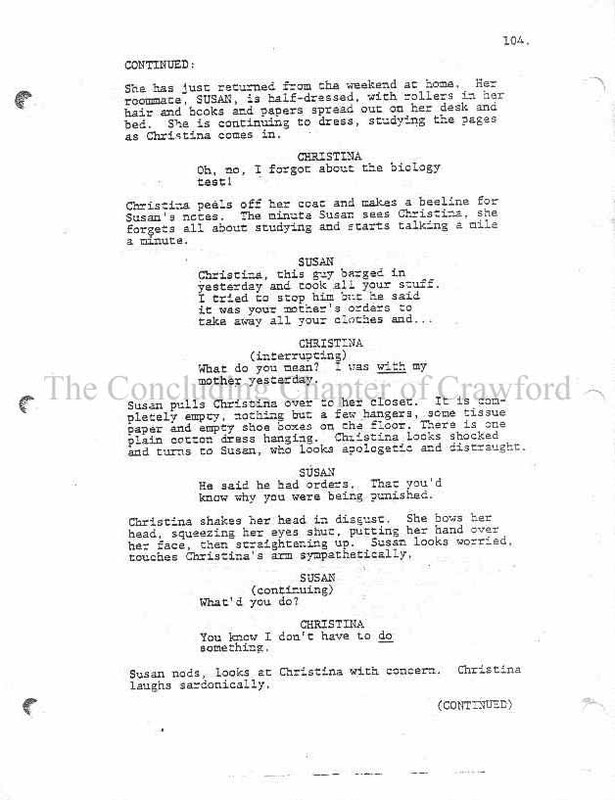 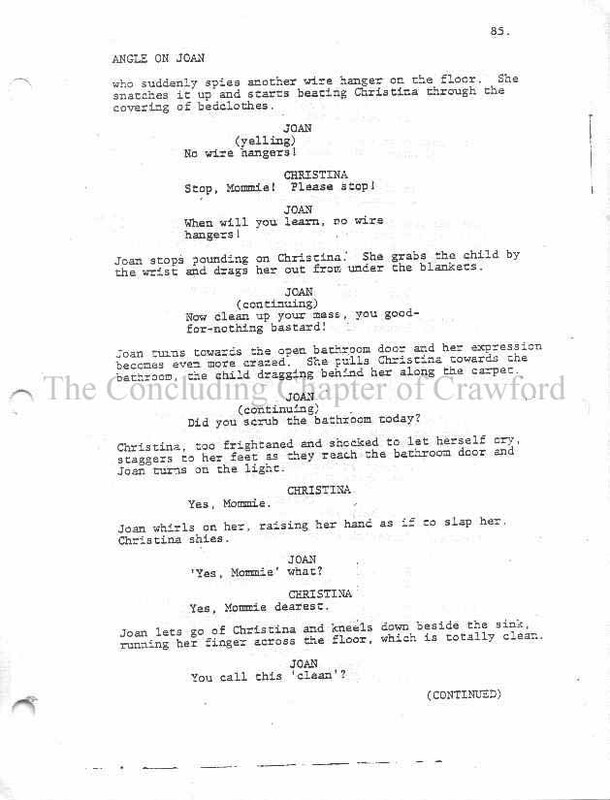 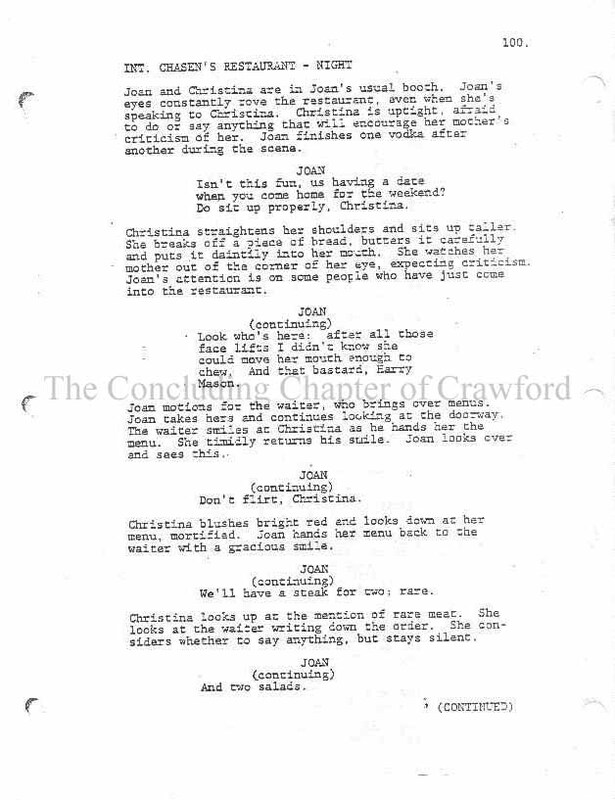 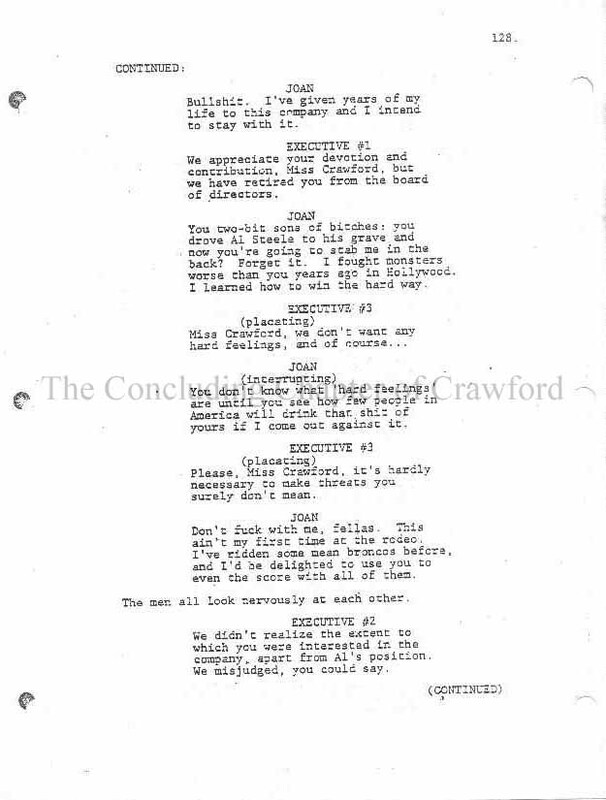 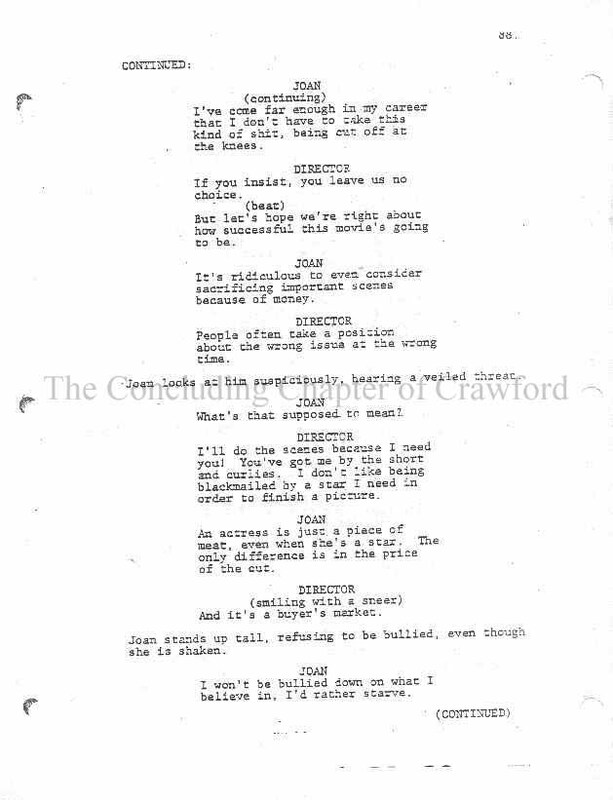 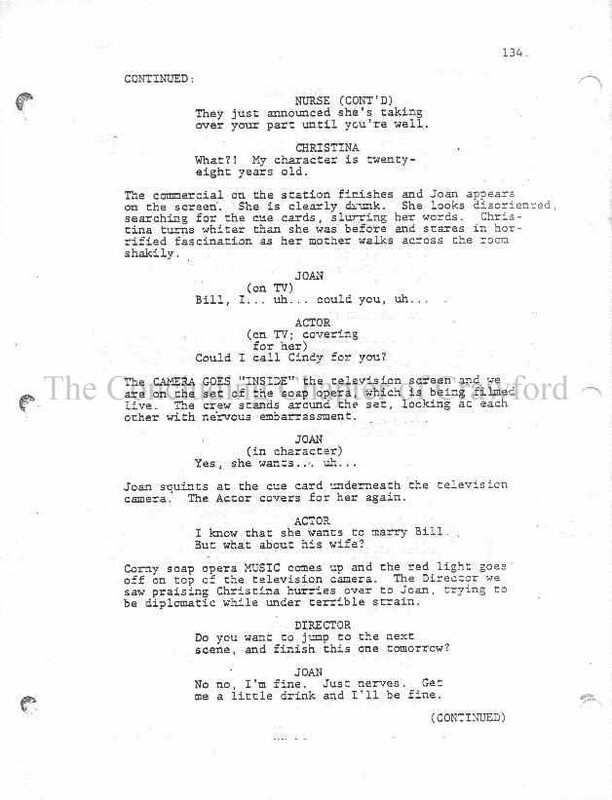 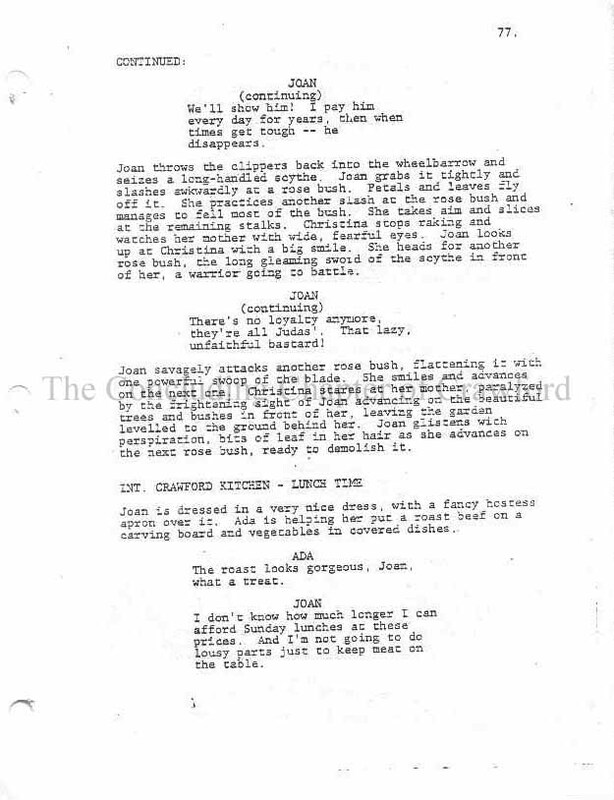 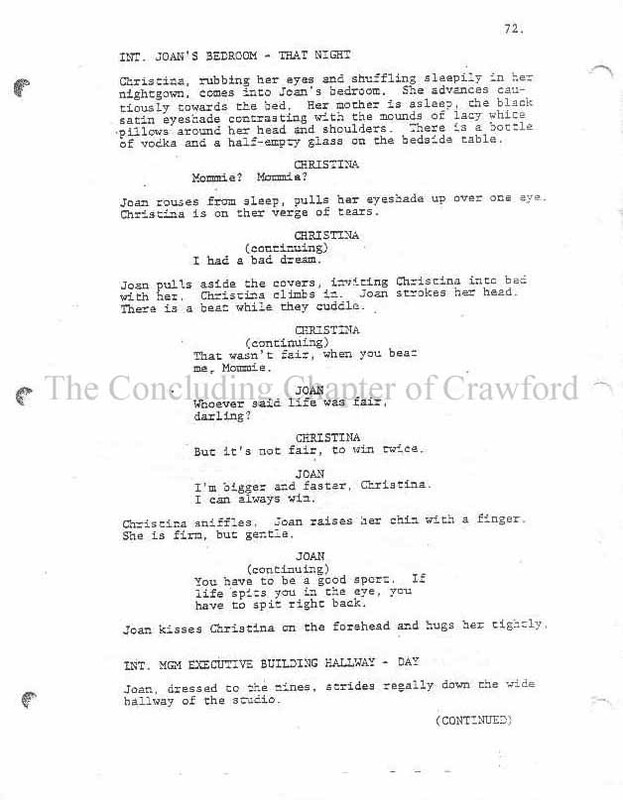 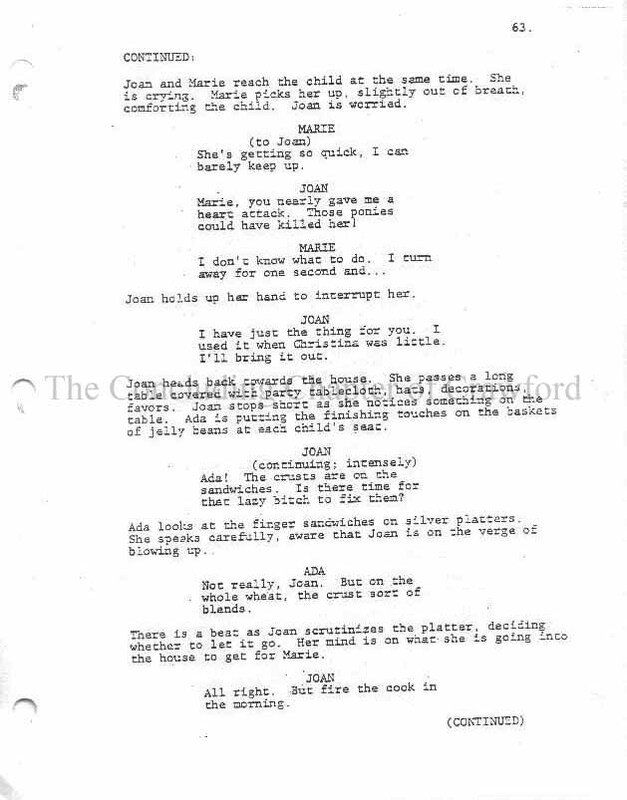 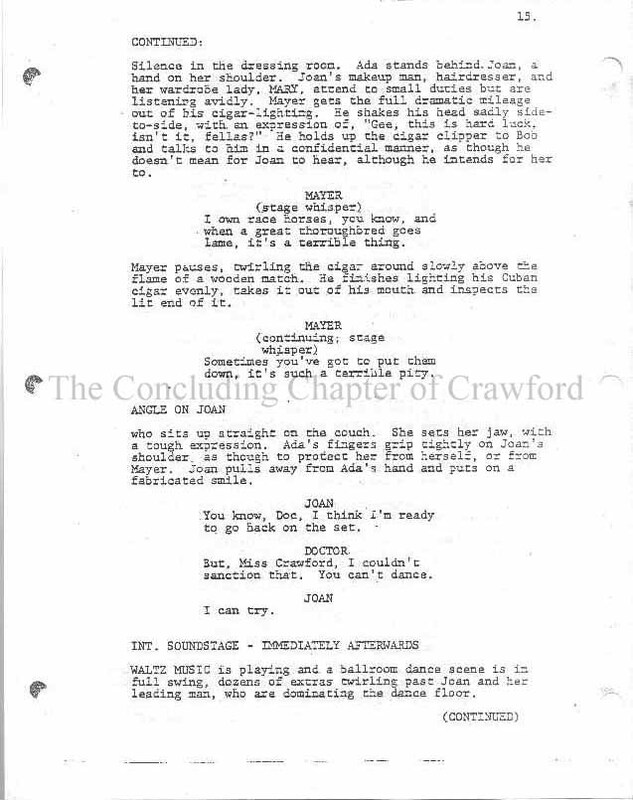 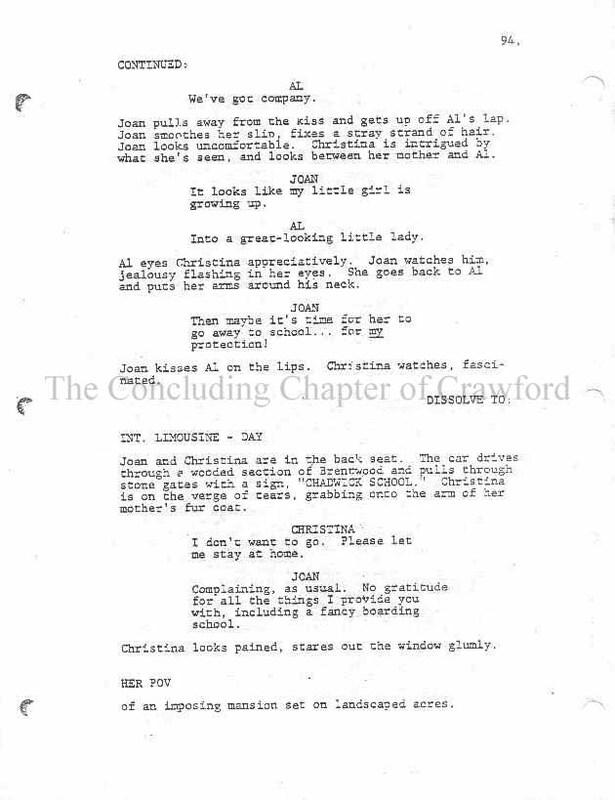 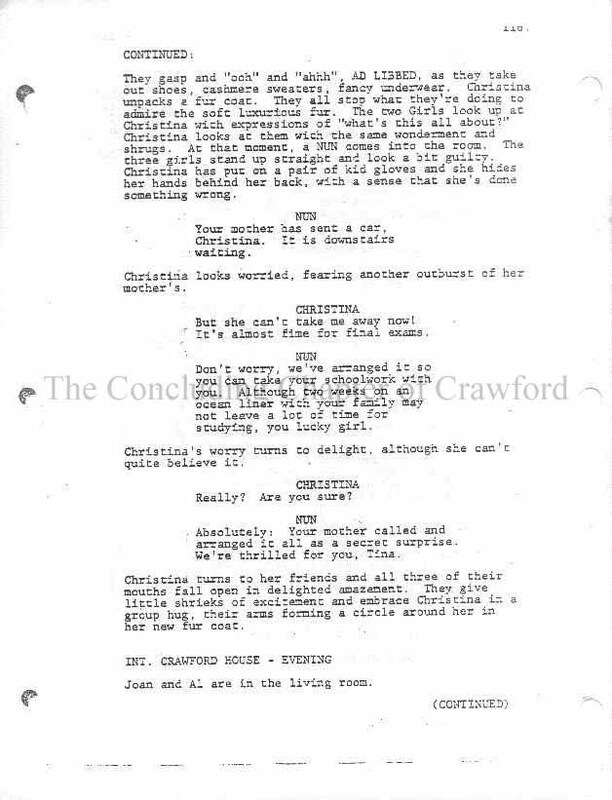 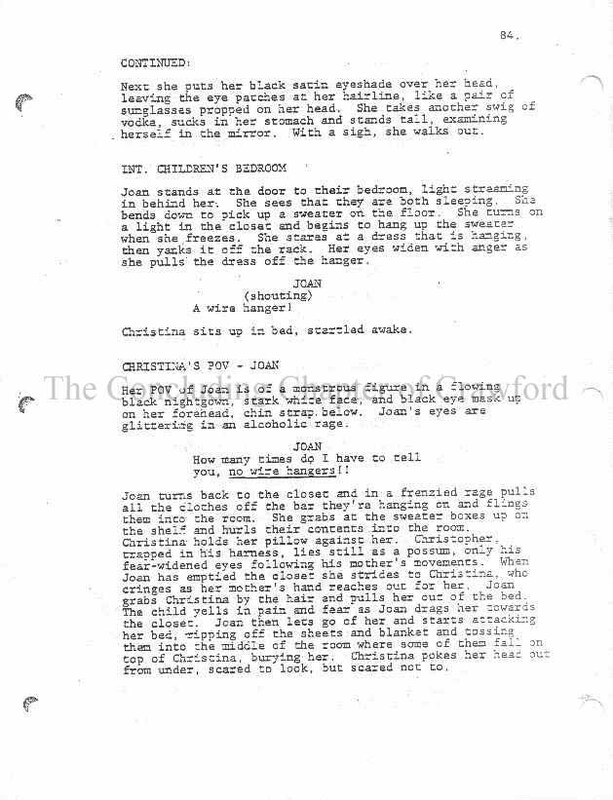 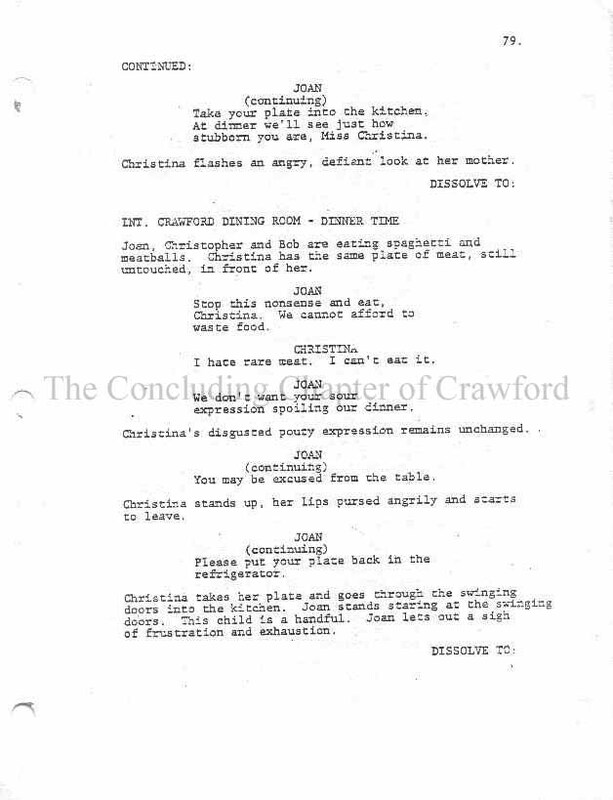 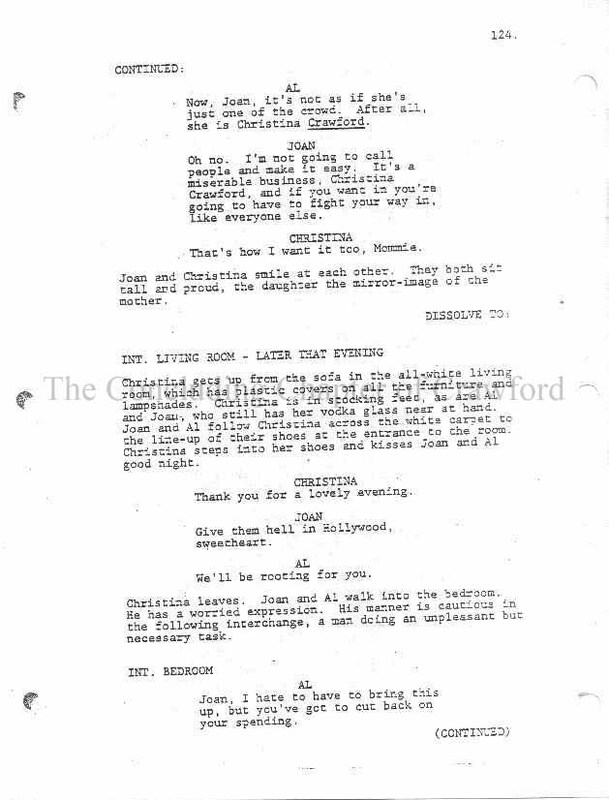 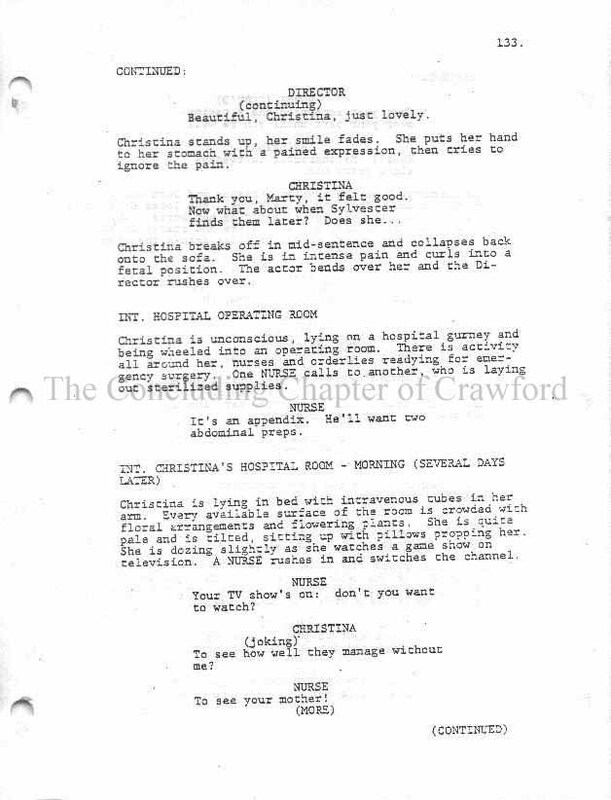 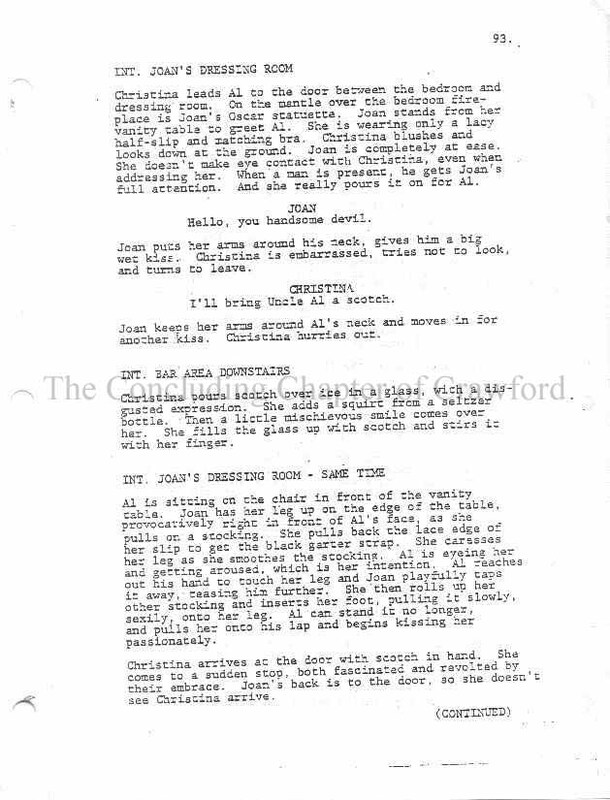 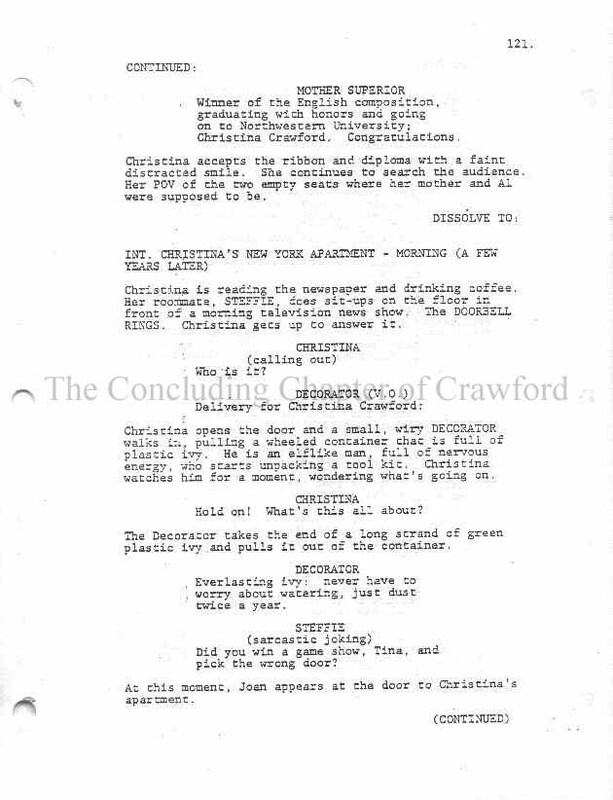 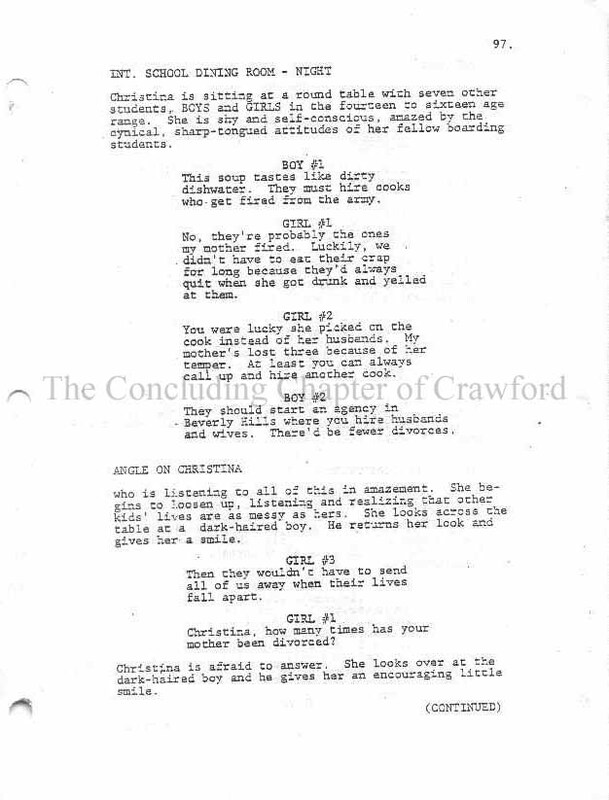 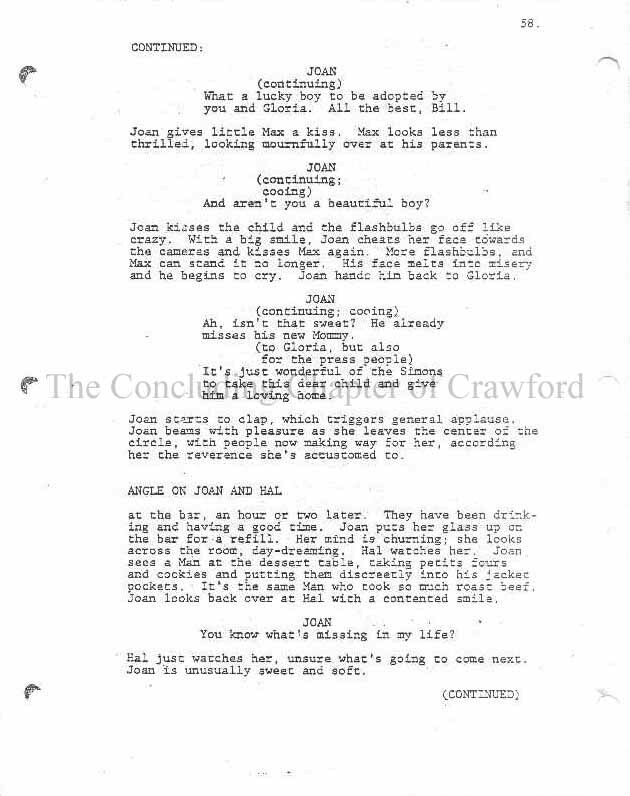 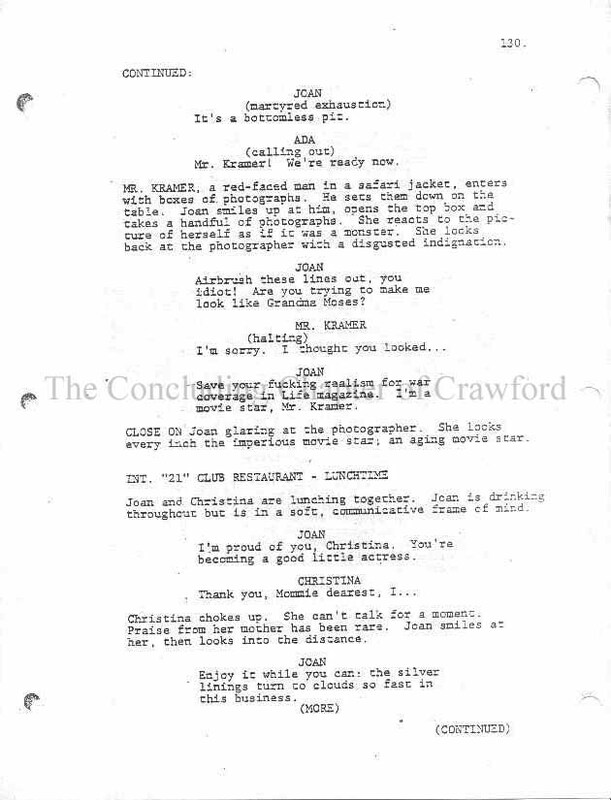 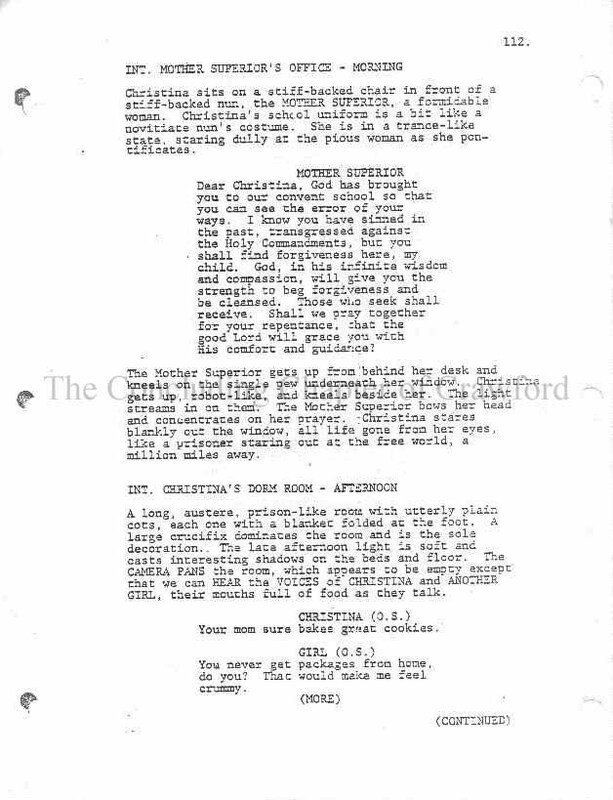 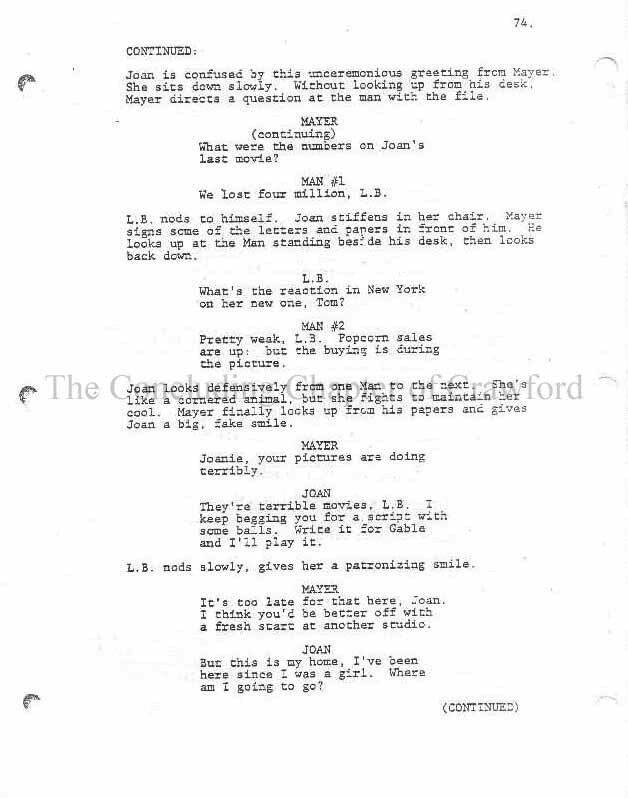 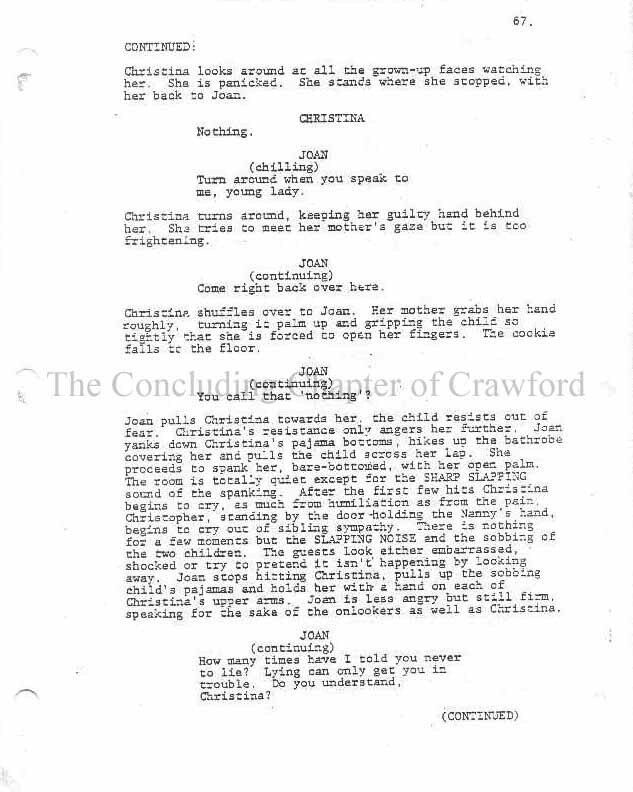 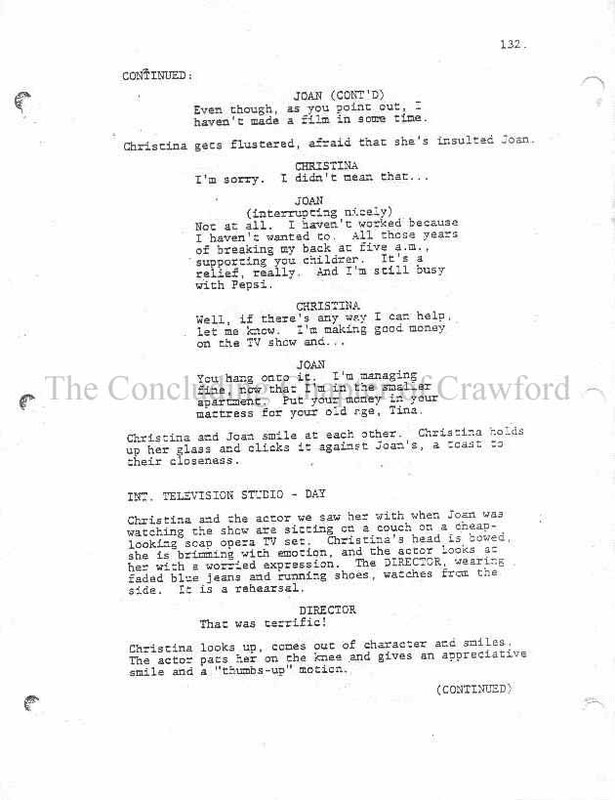 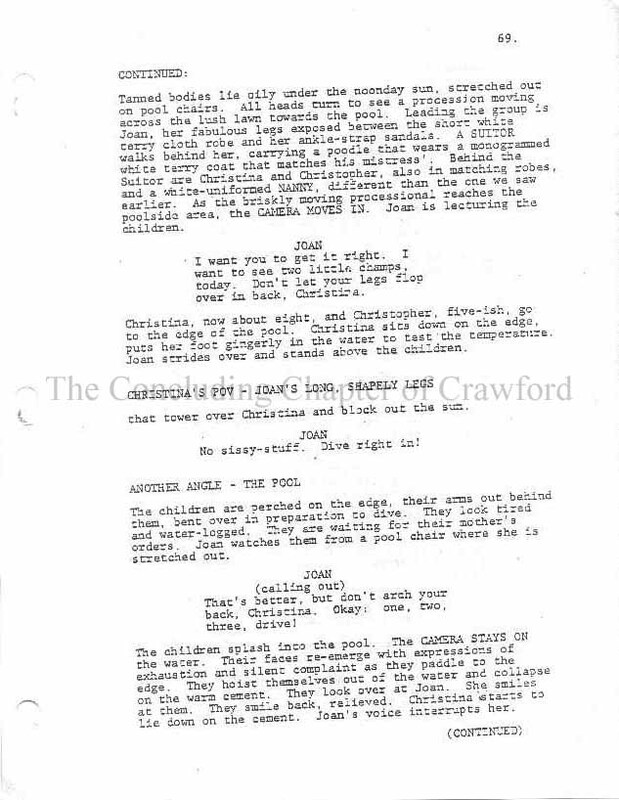 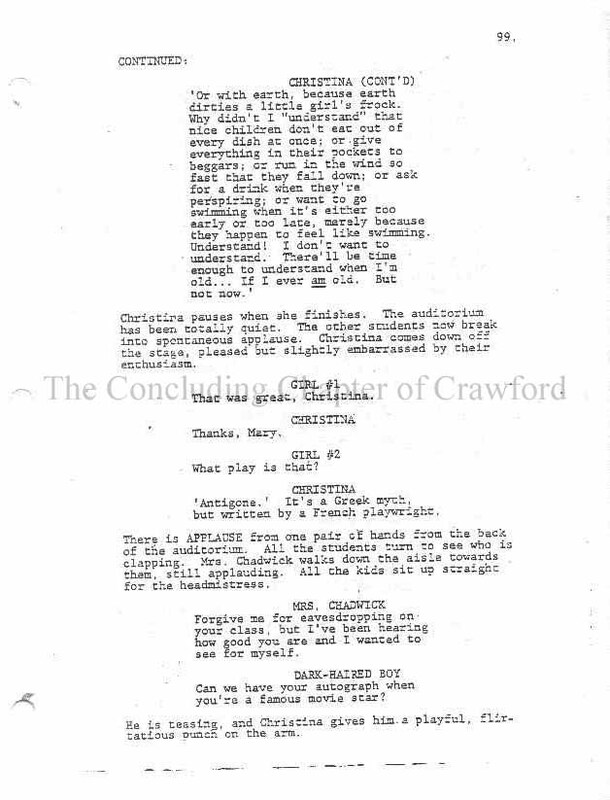 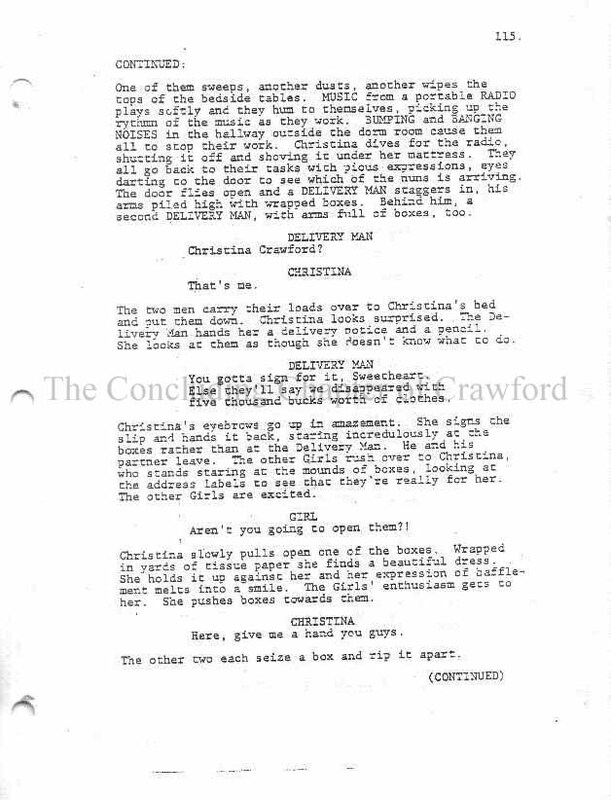 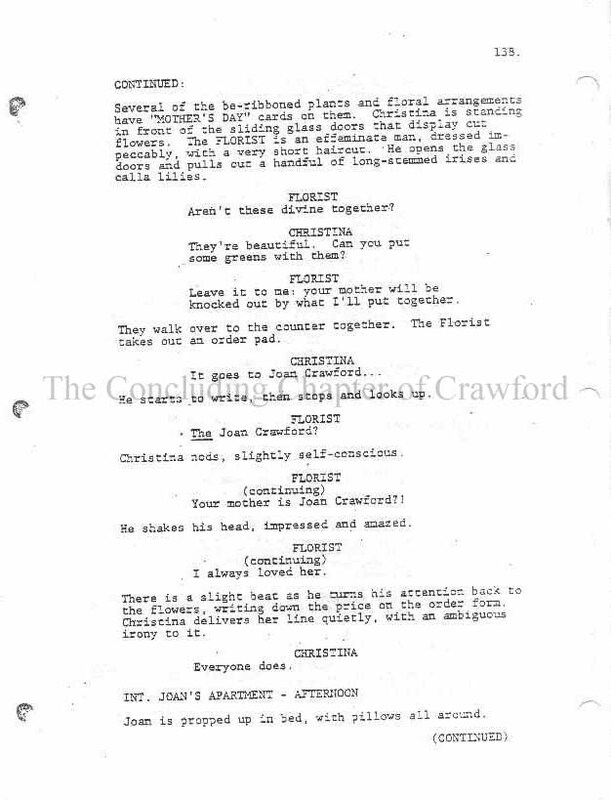 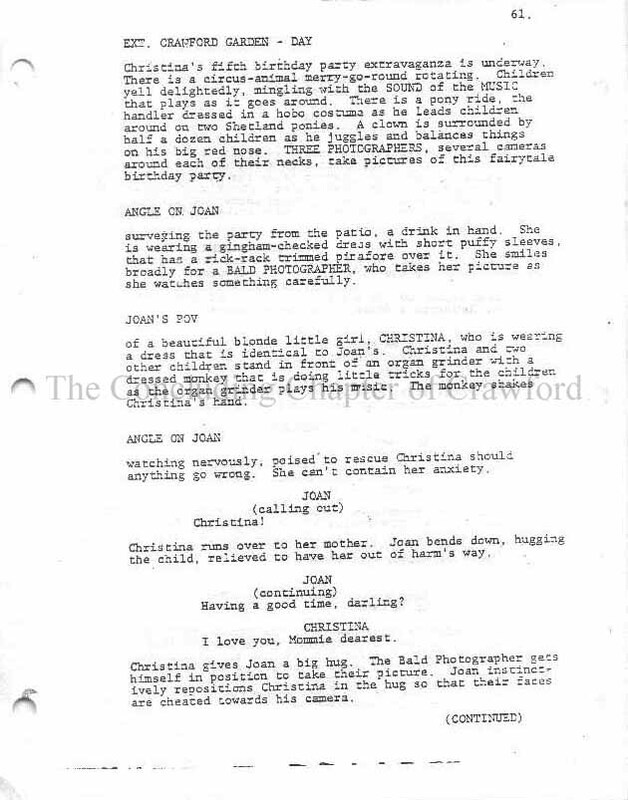 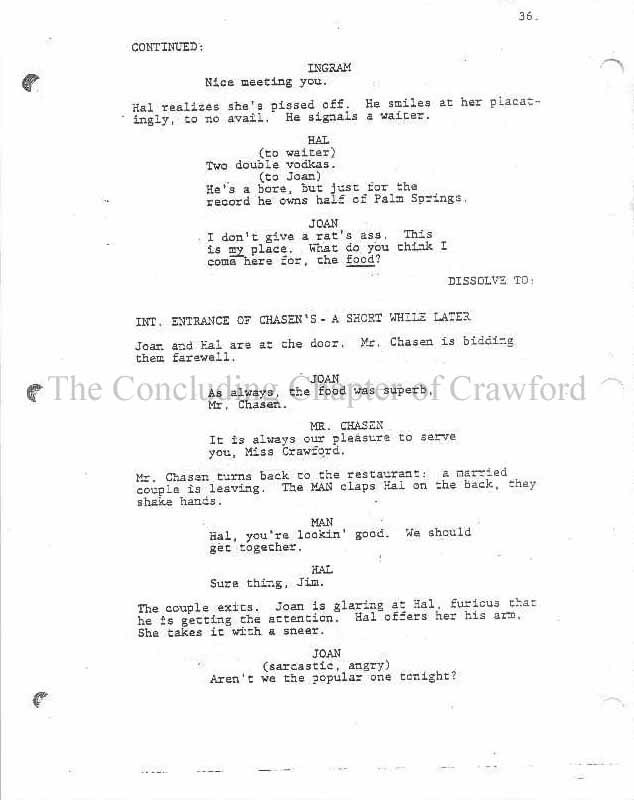 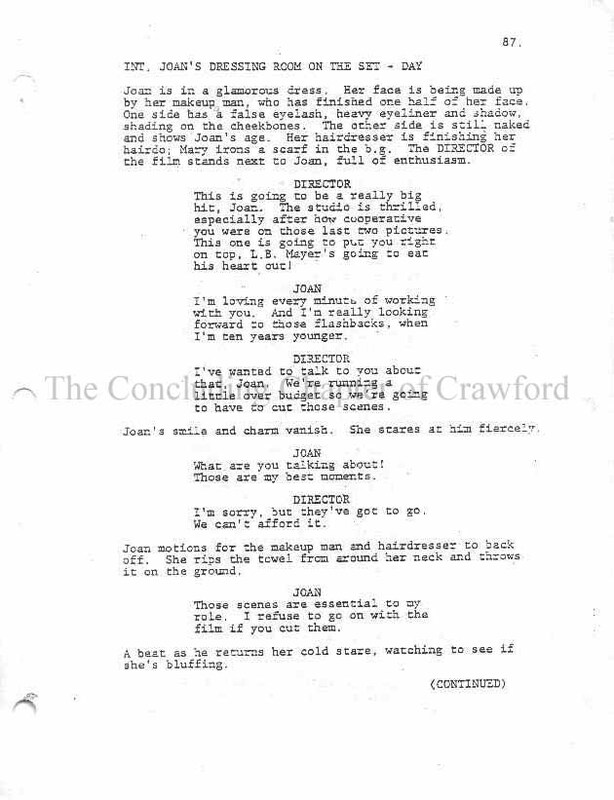 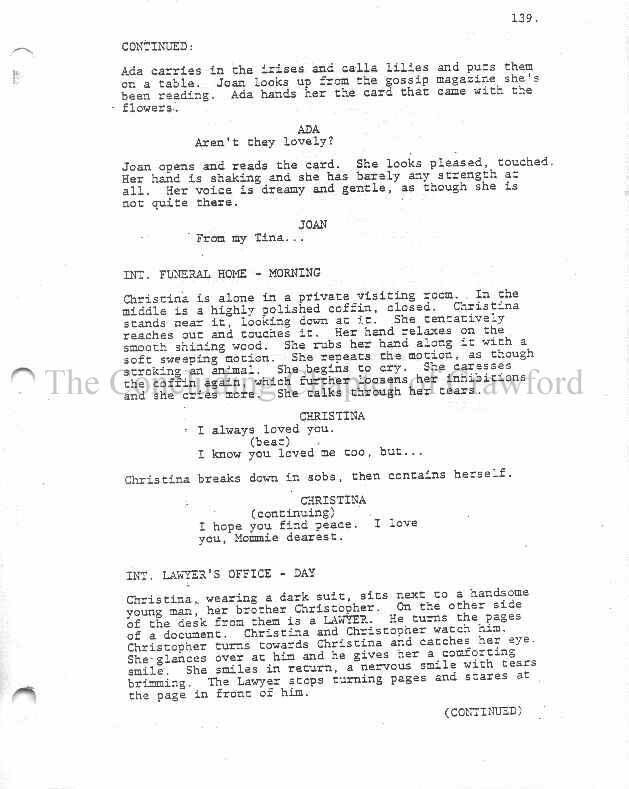 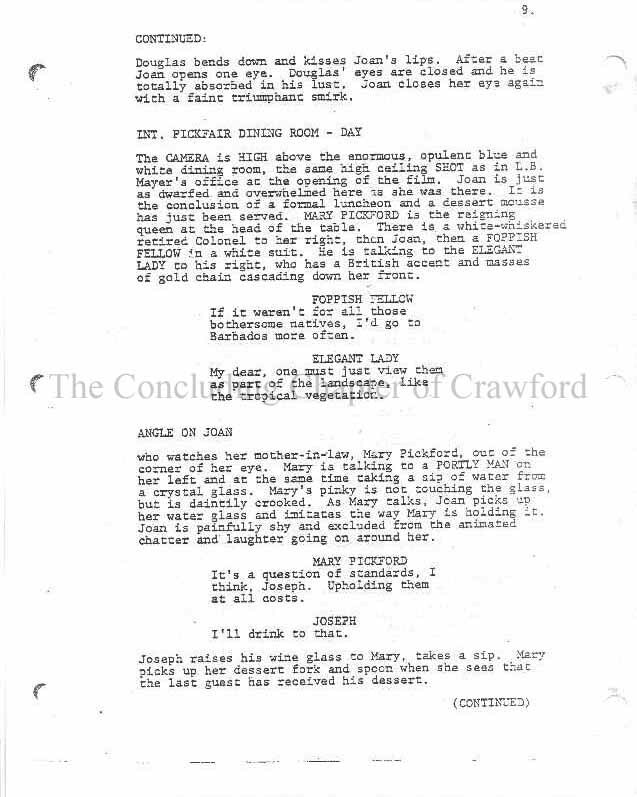 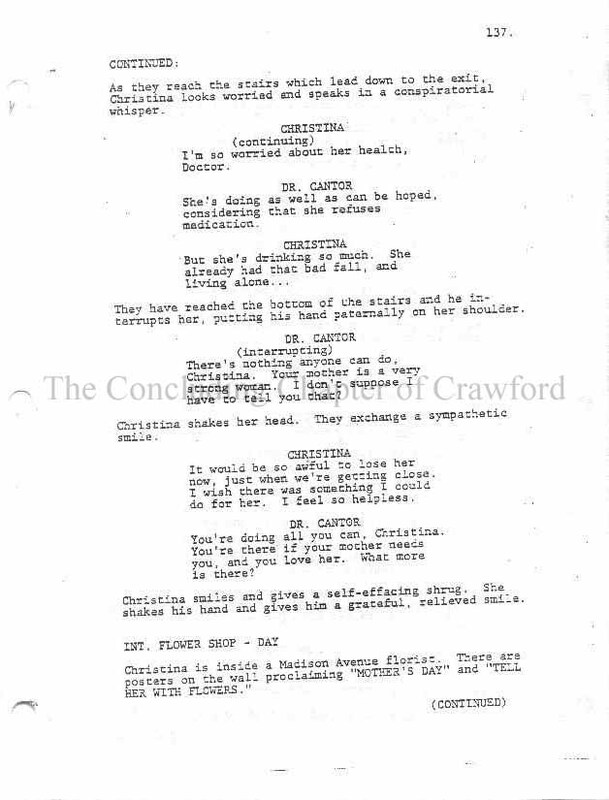 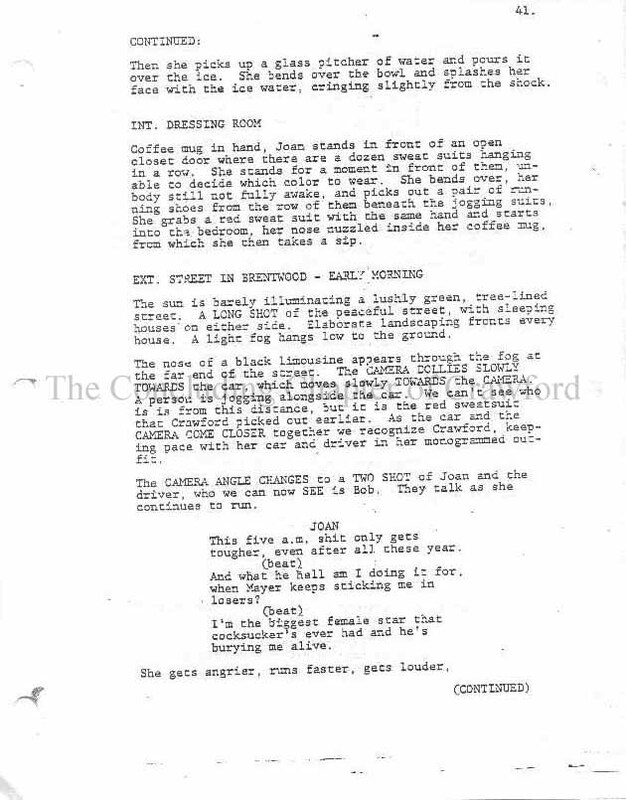 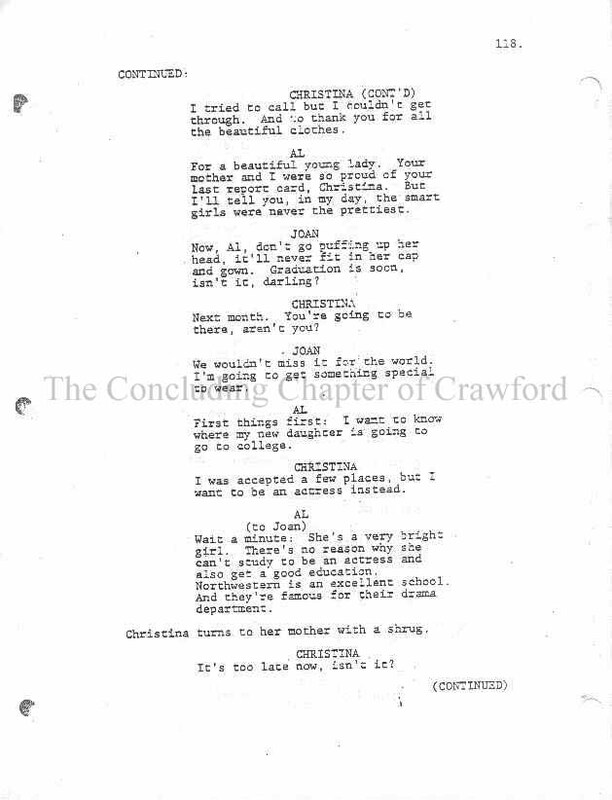 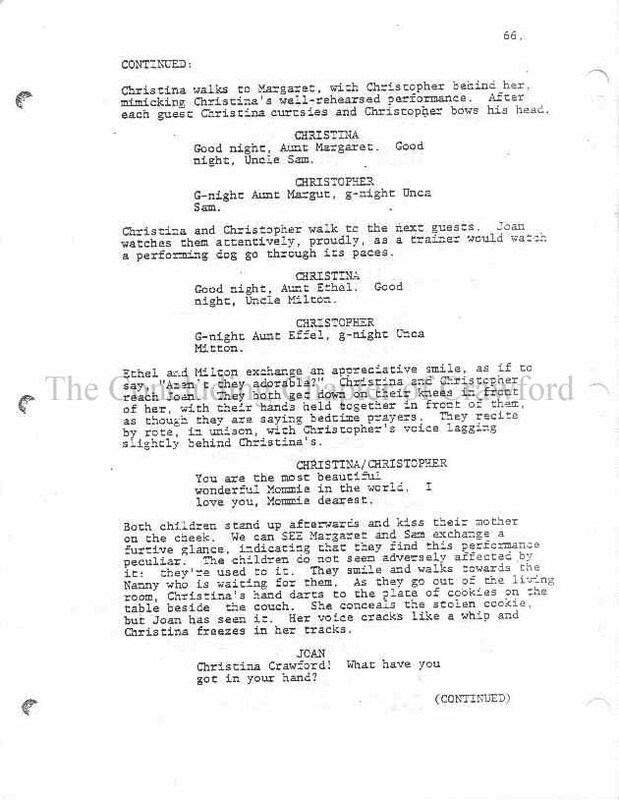 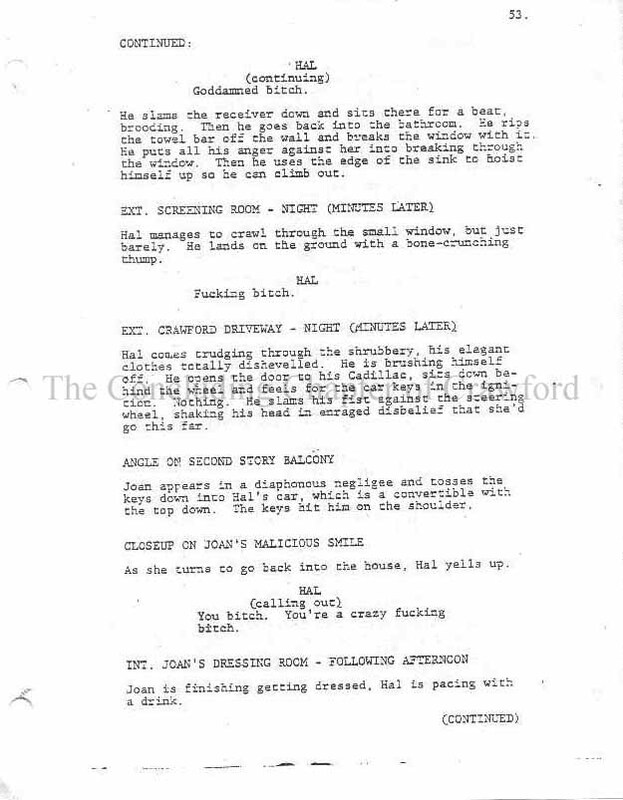 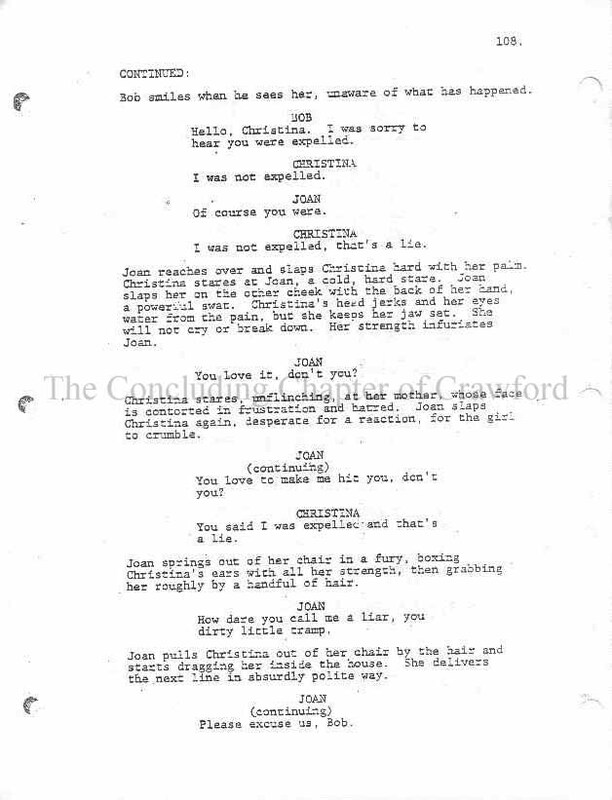 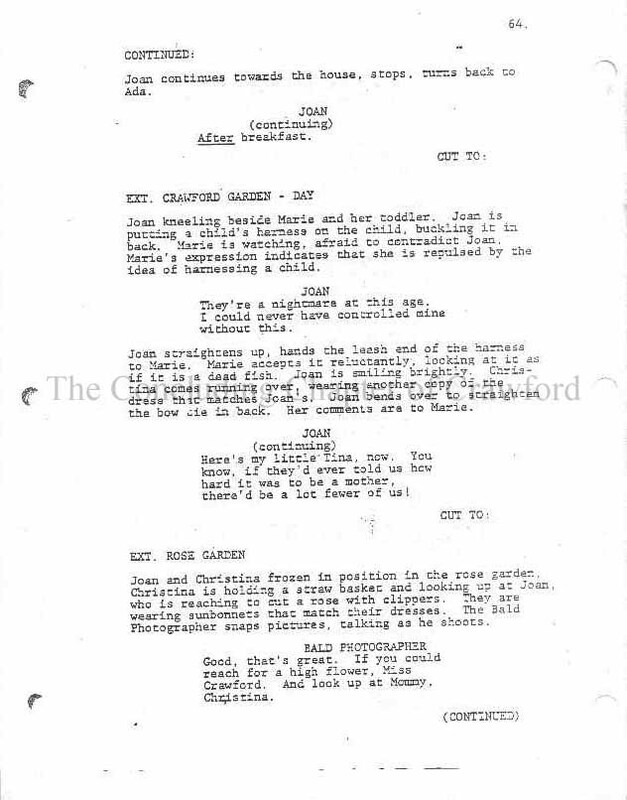 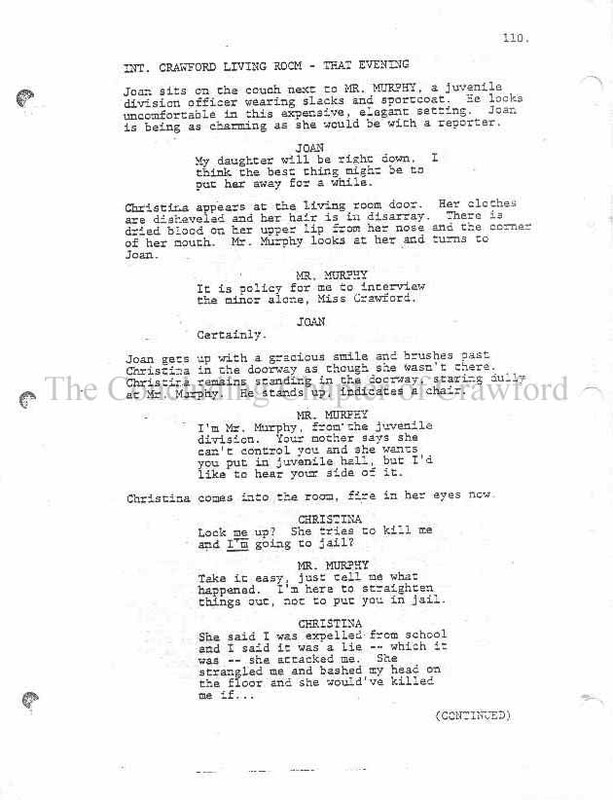 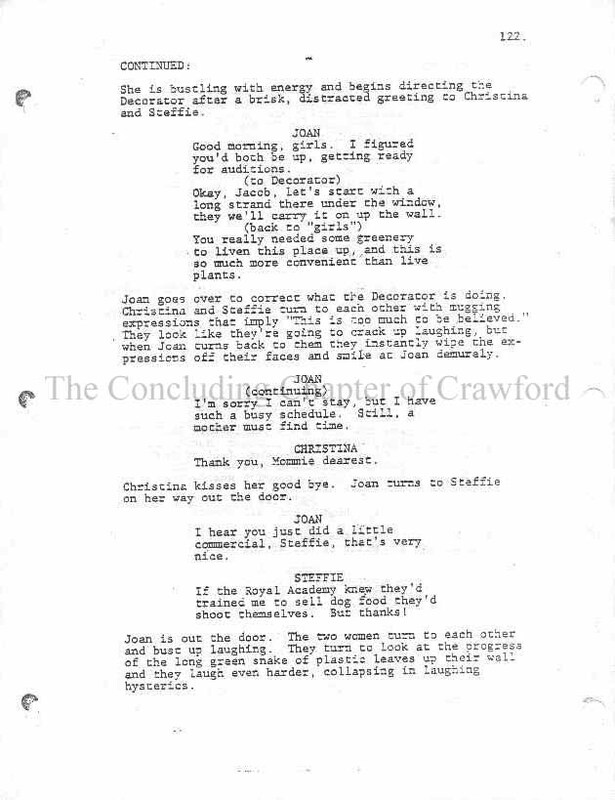 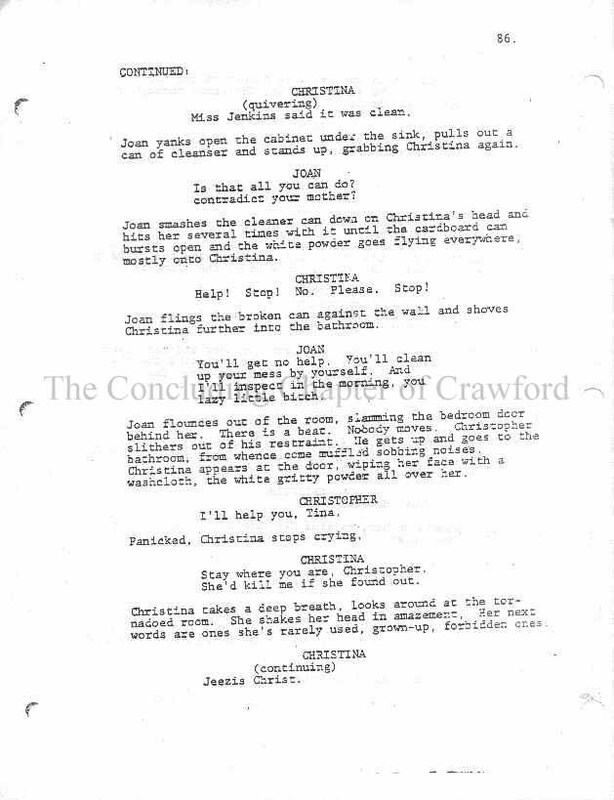 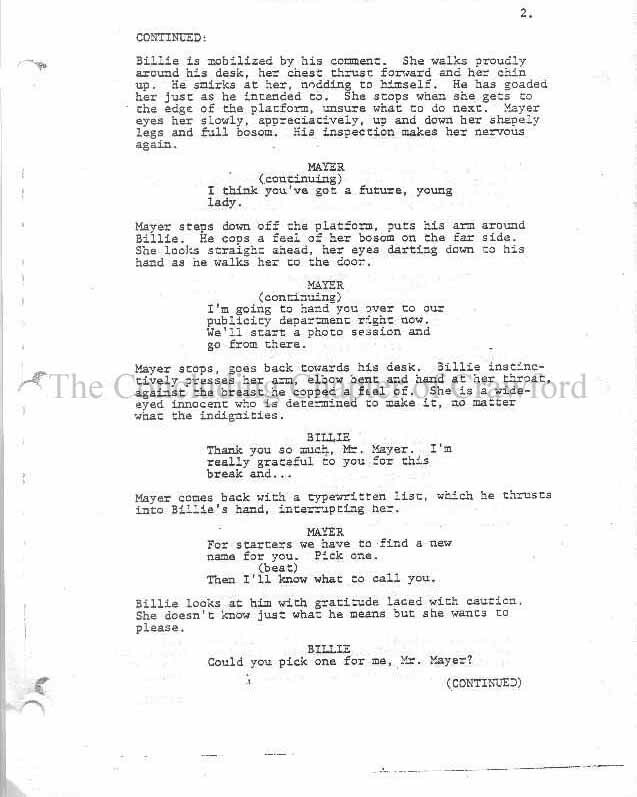 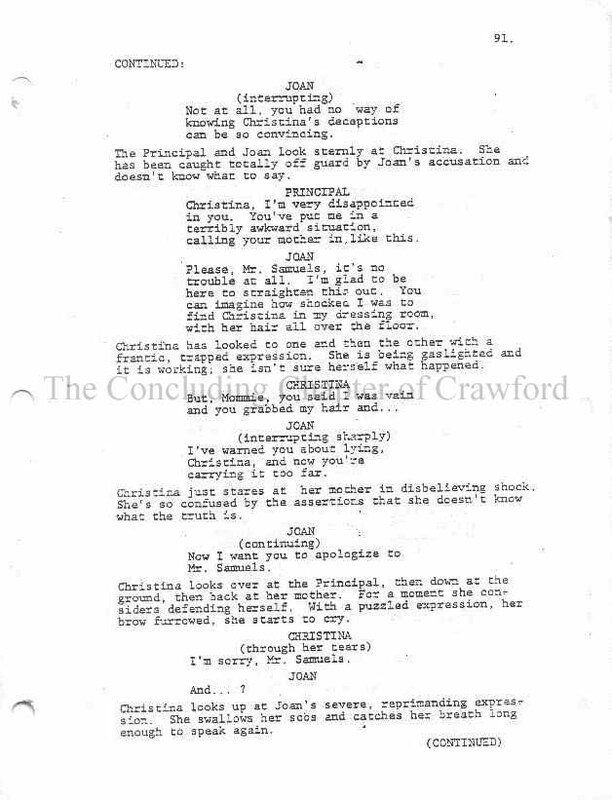 The complete "First Draft" (April 28th, 1980) script for "Mommie Dearest" by screenwriter Tracy Hotchner. 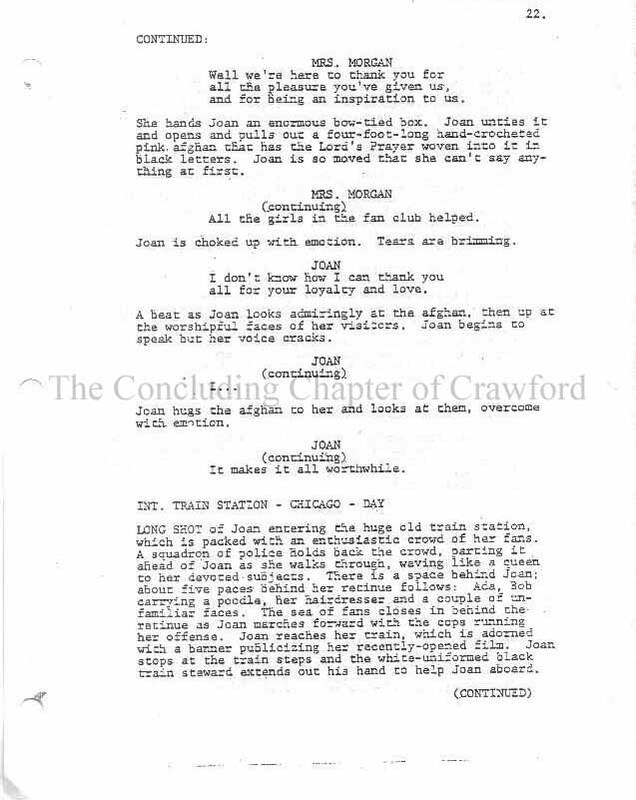 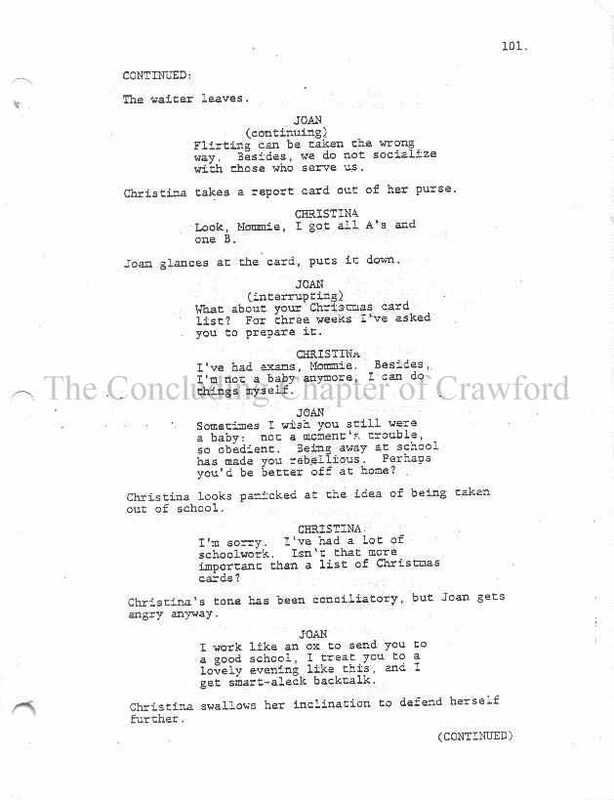 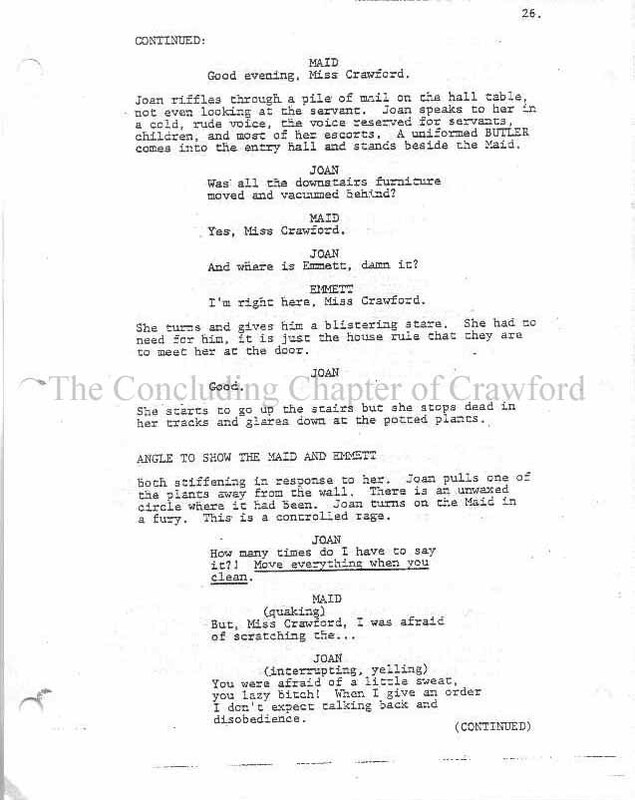 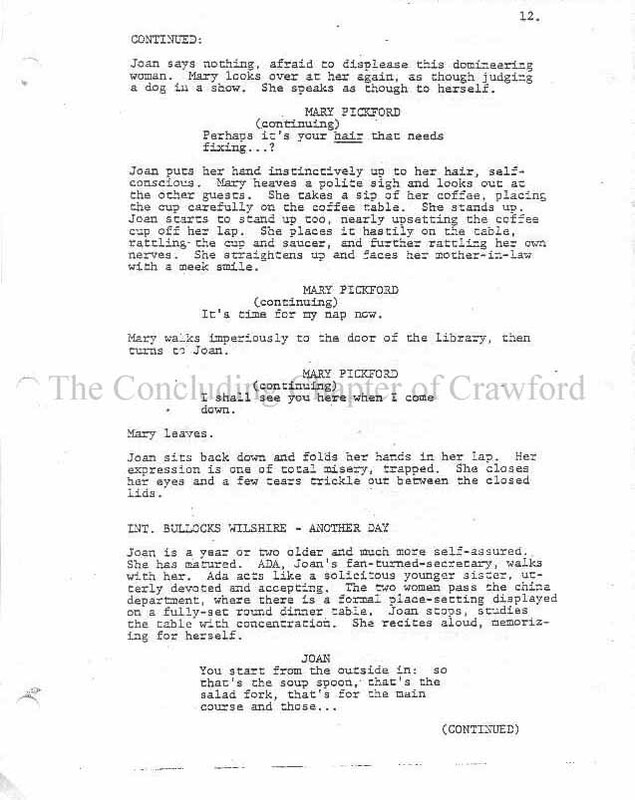 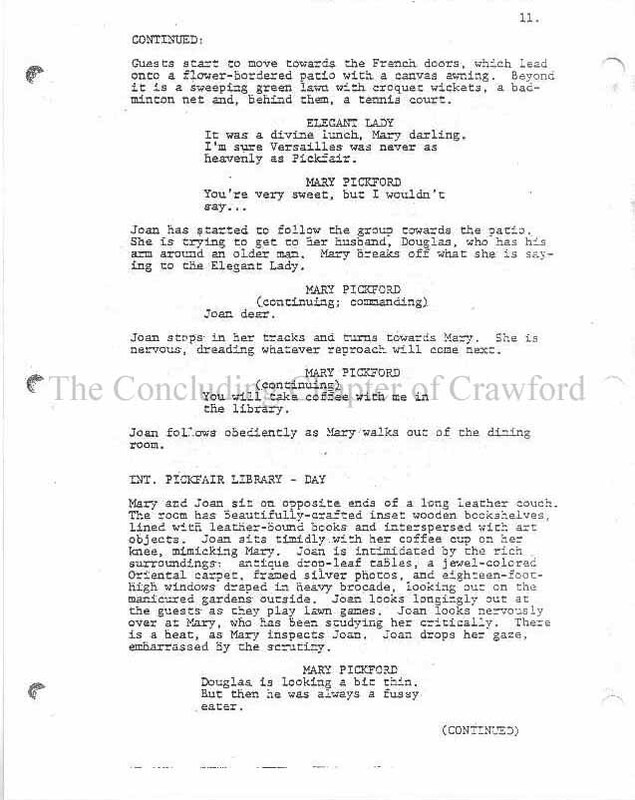 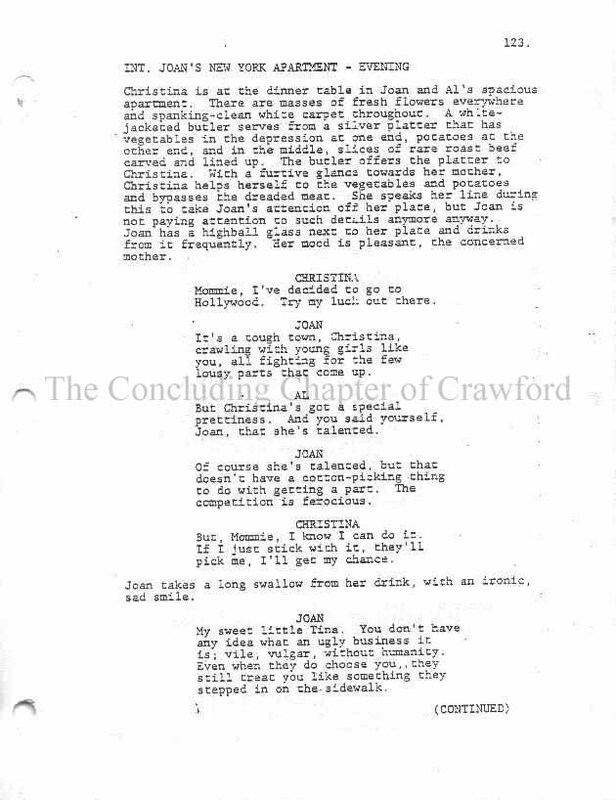 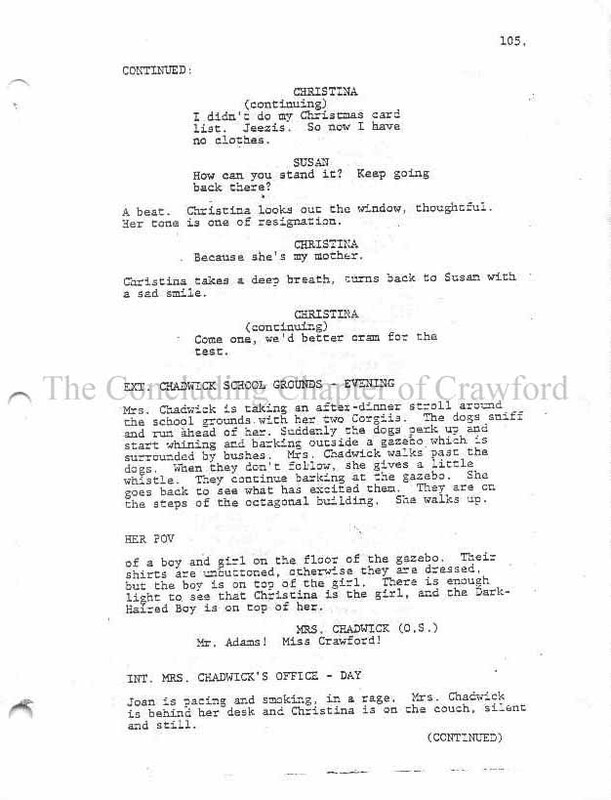 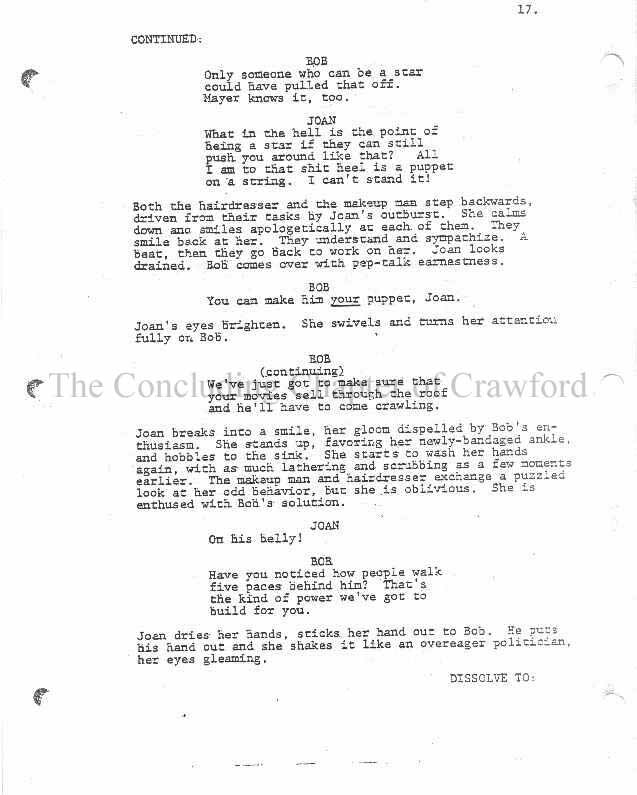 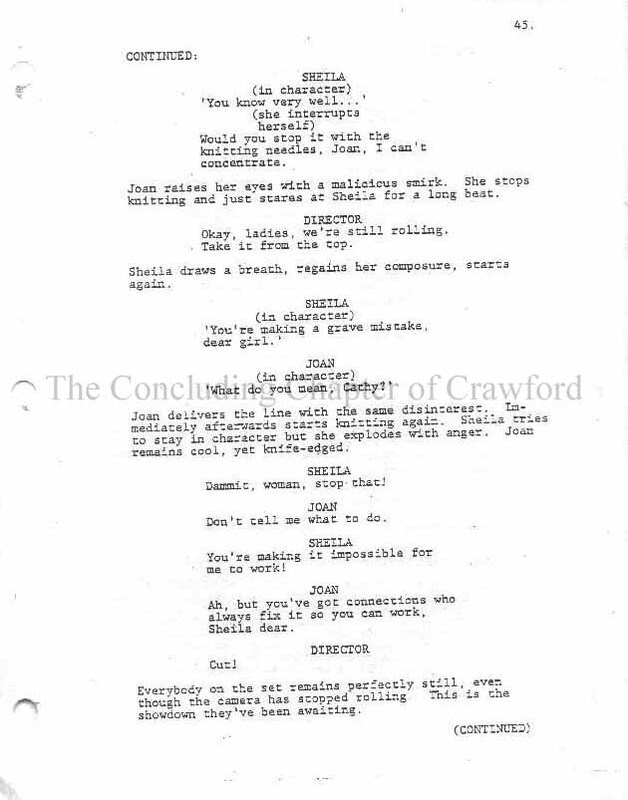 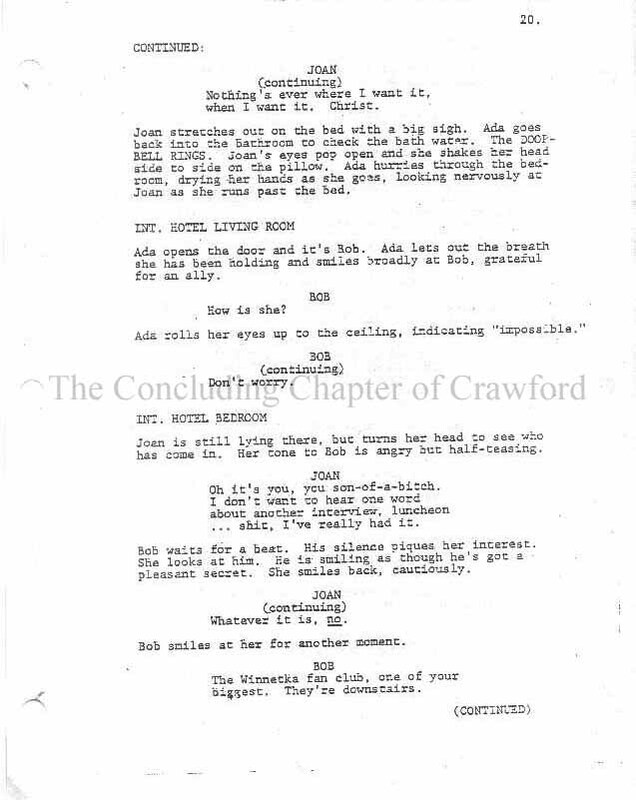 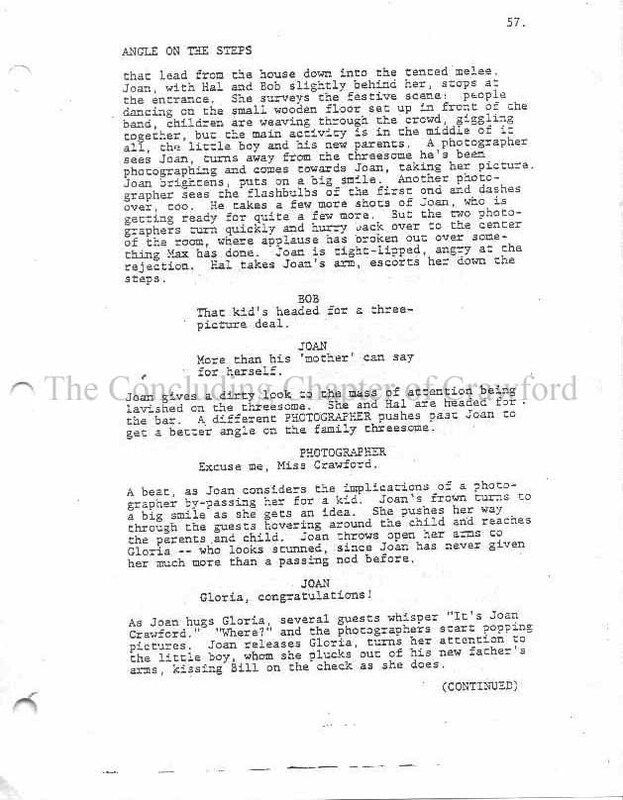 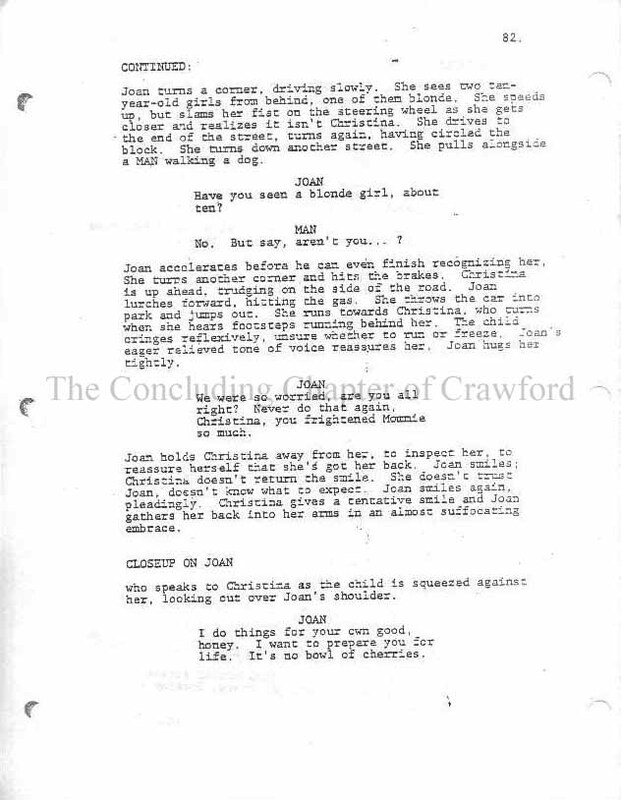 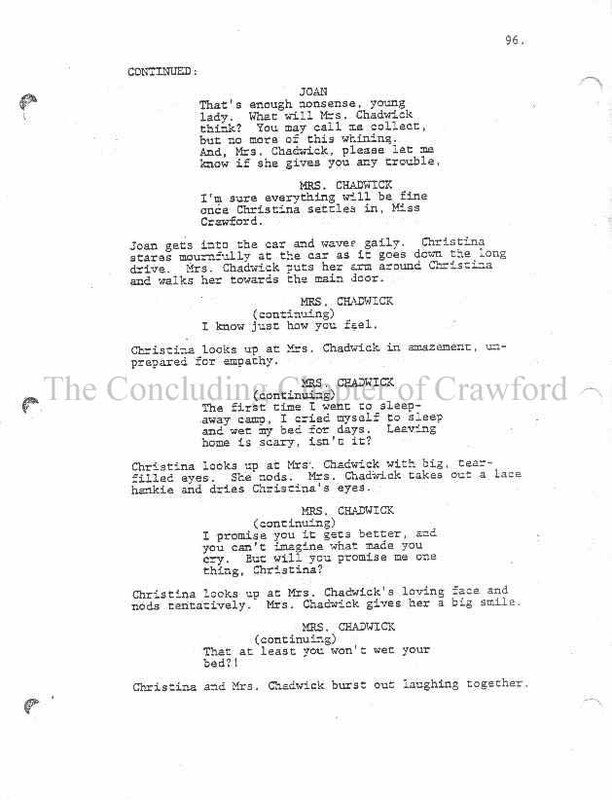 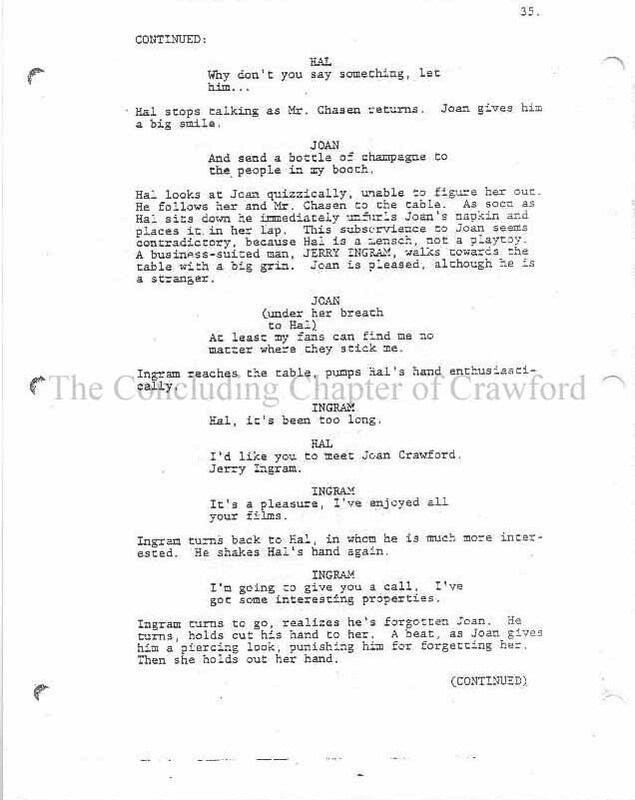 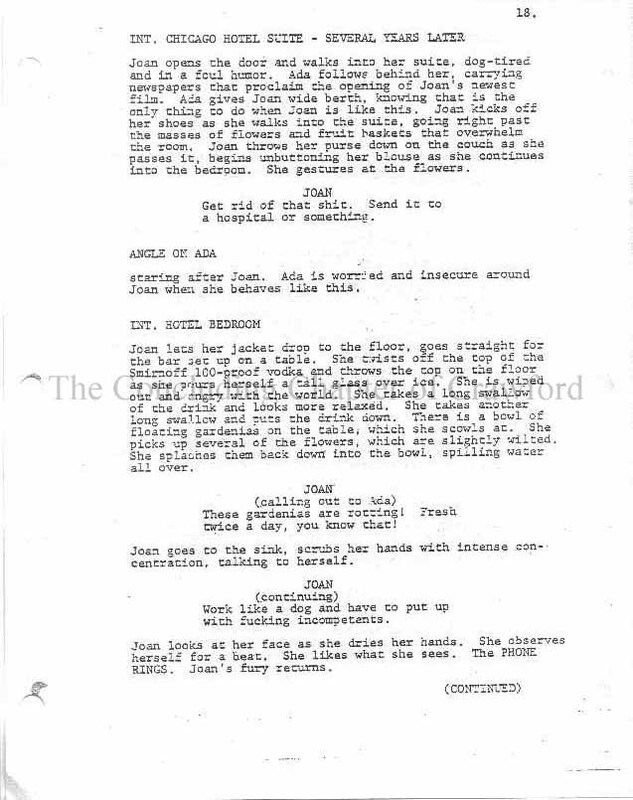 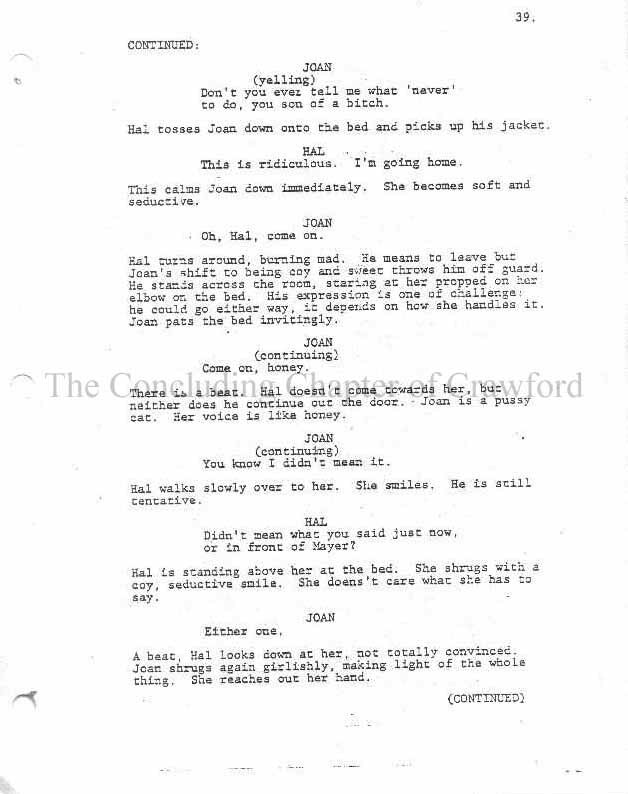 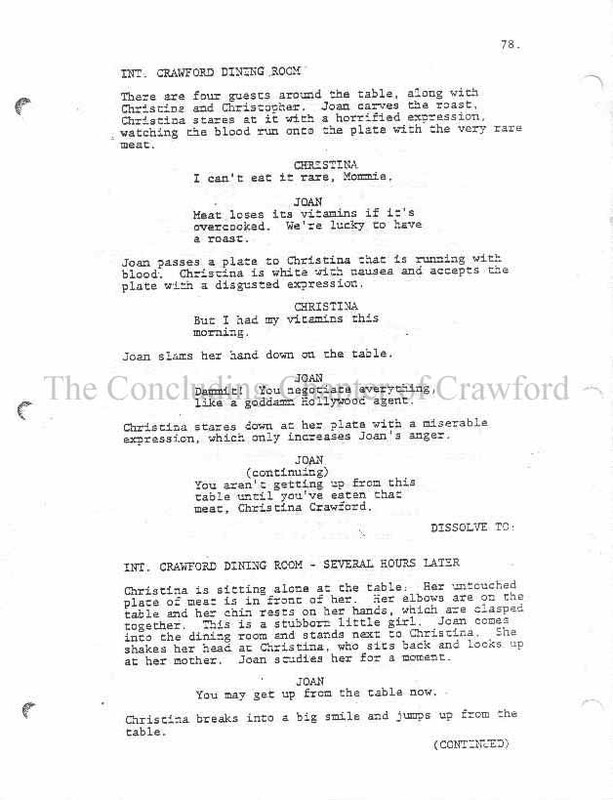 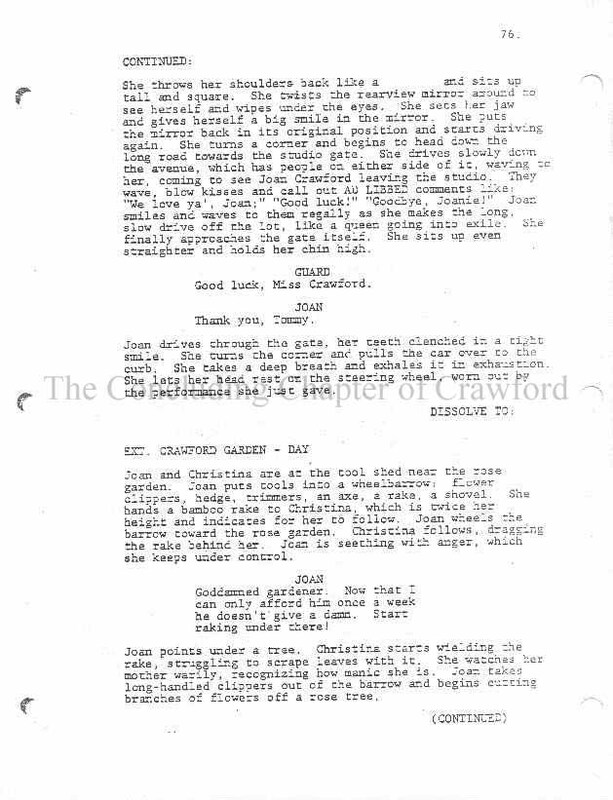 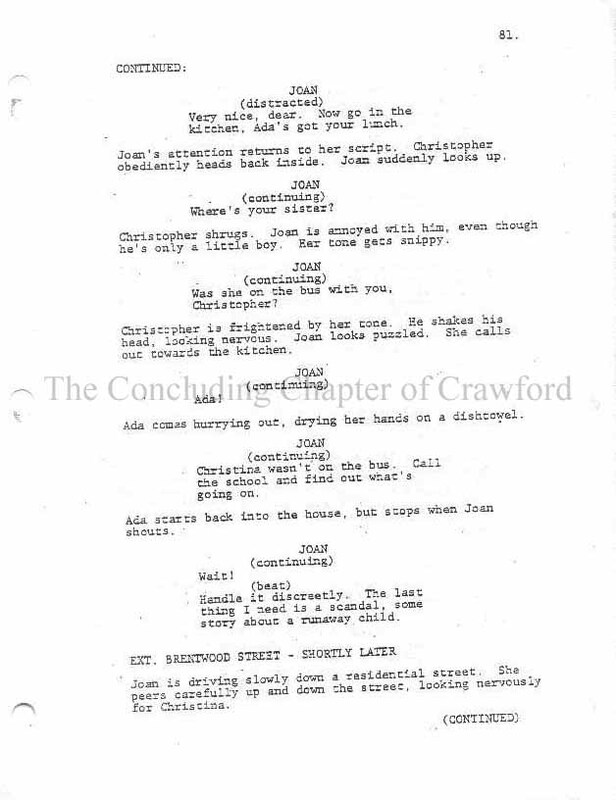 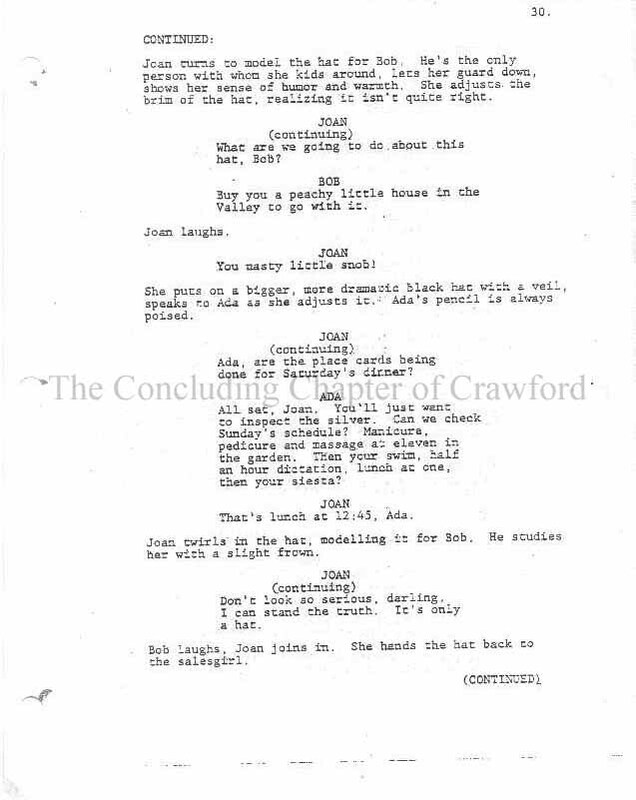 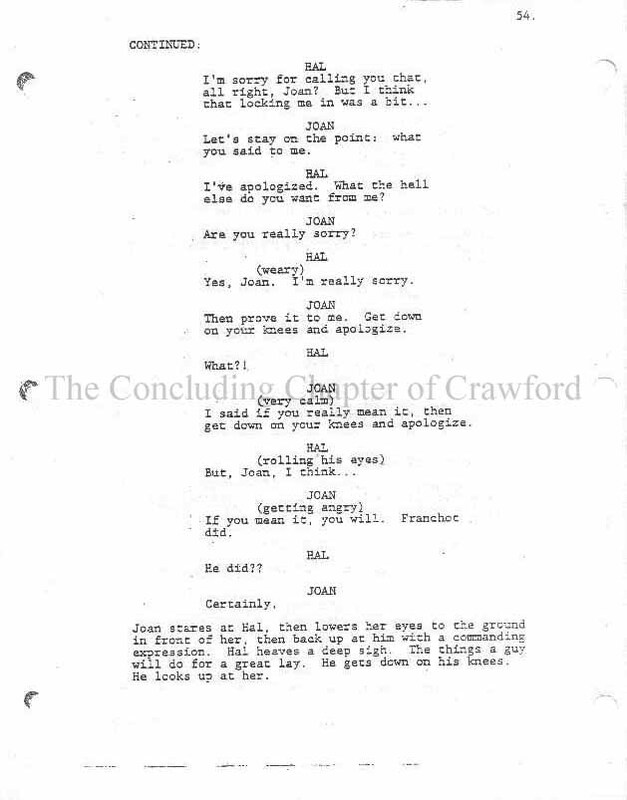 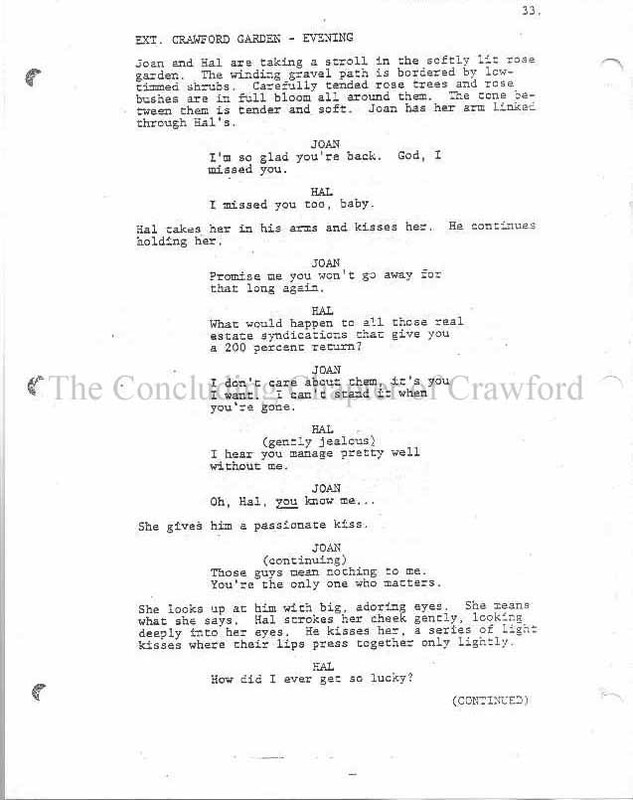 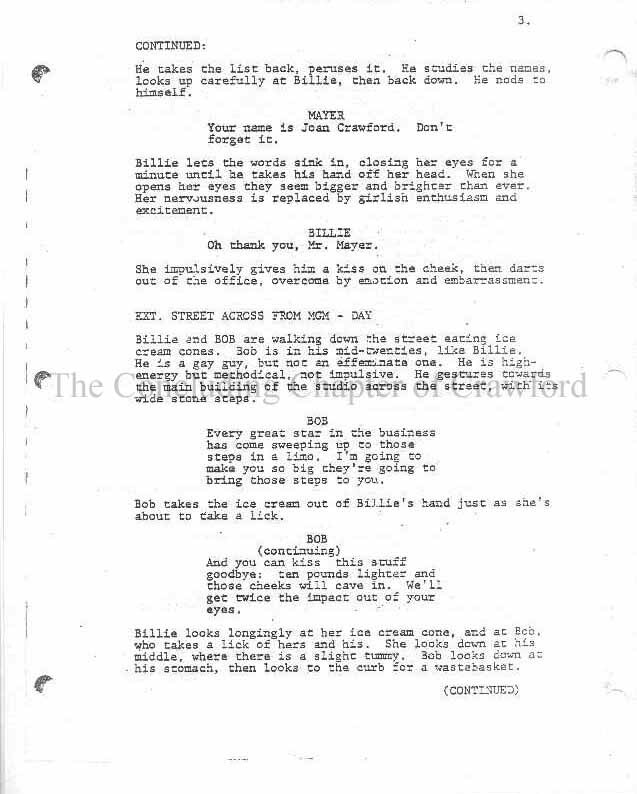 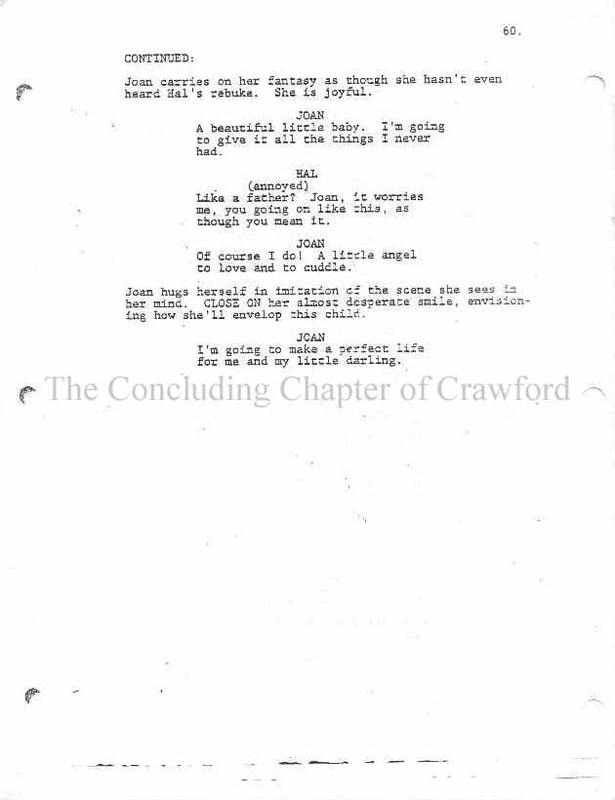 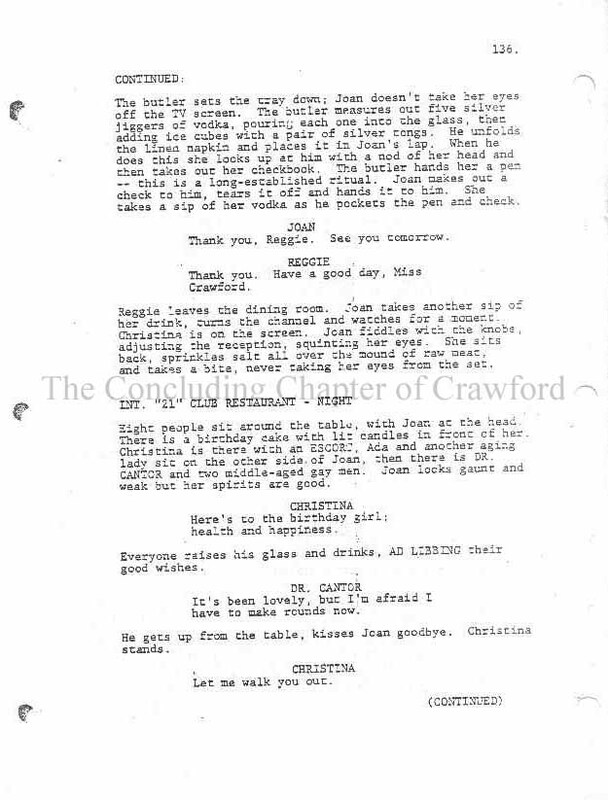 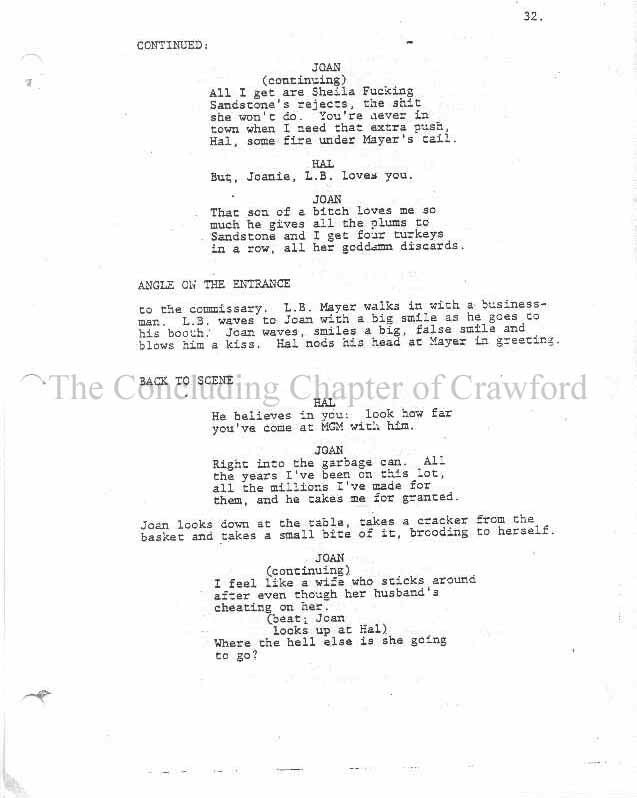 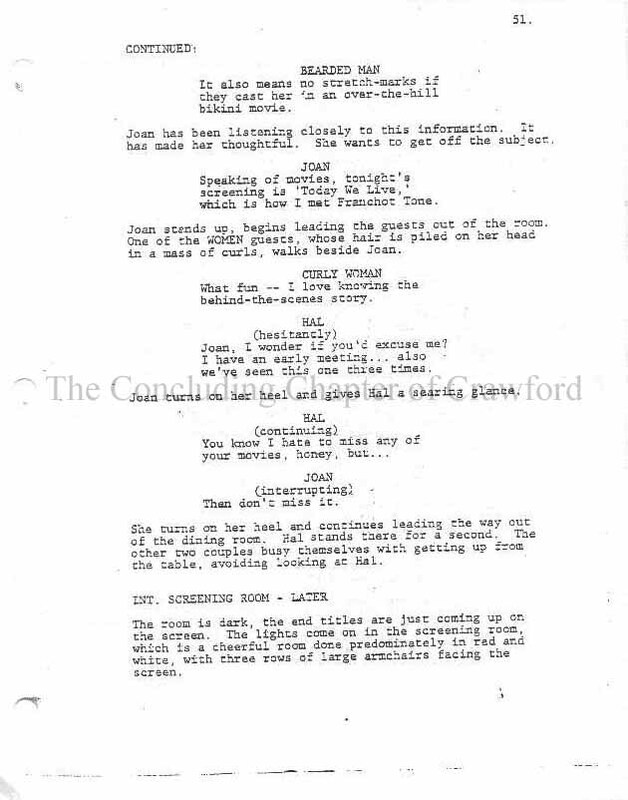 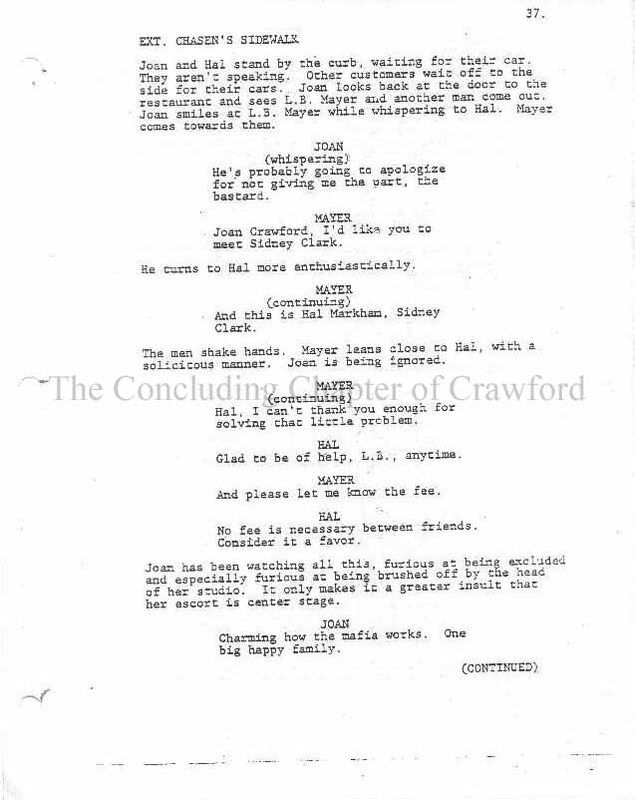 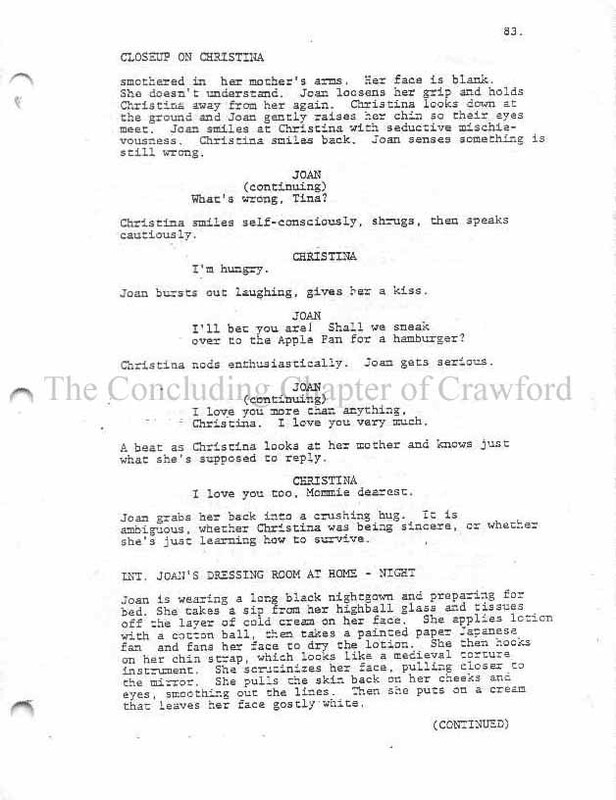 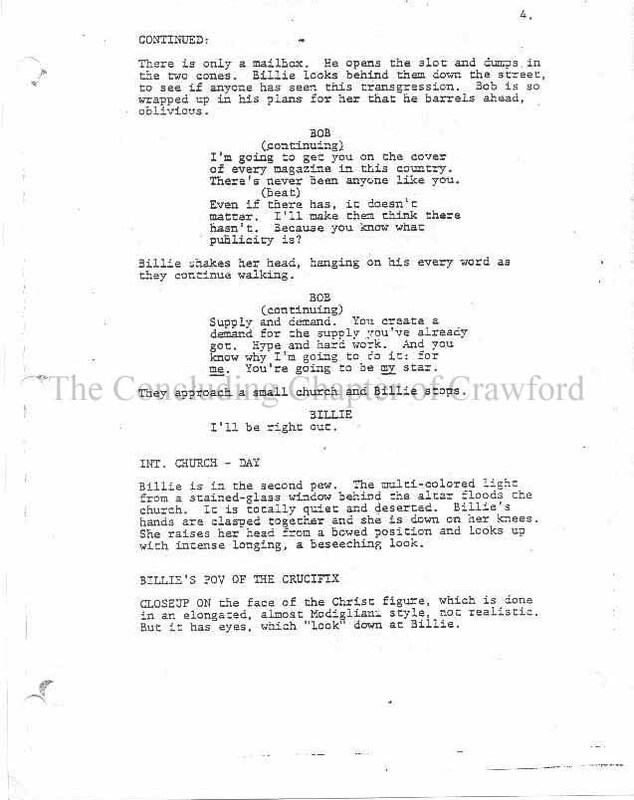 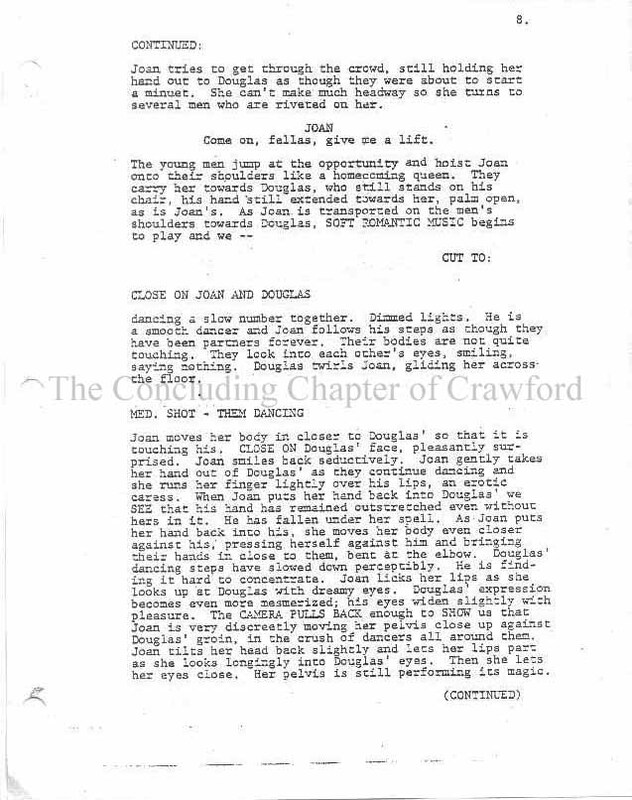 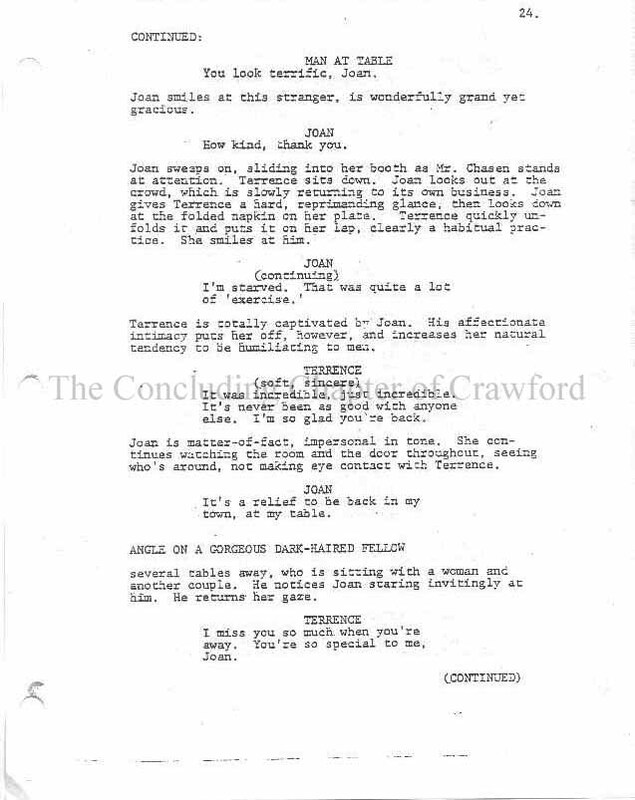 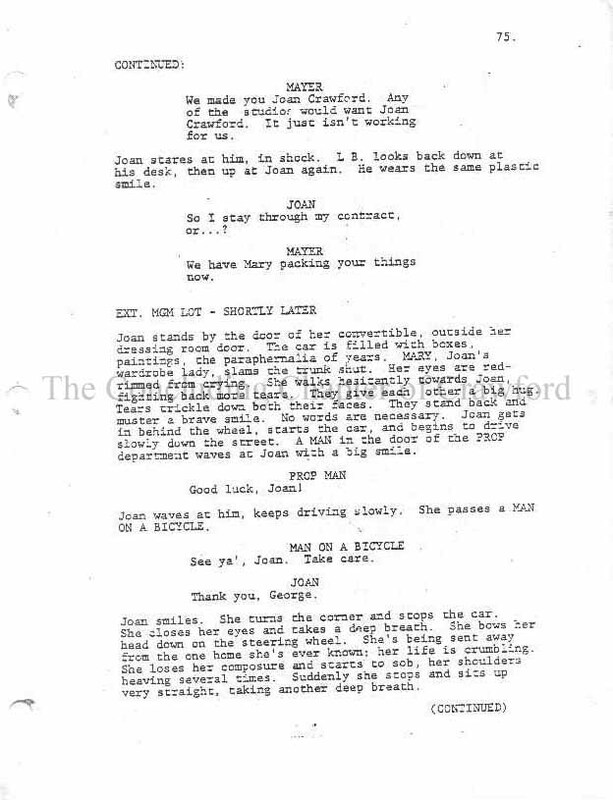 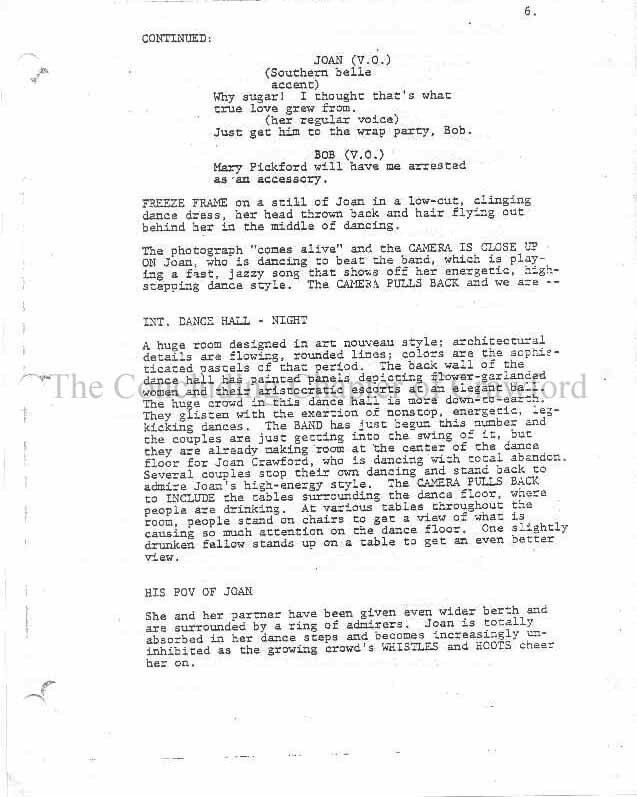 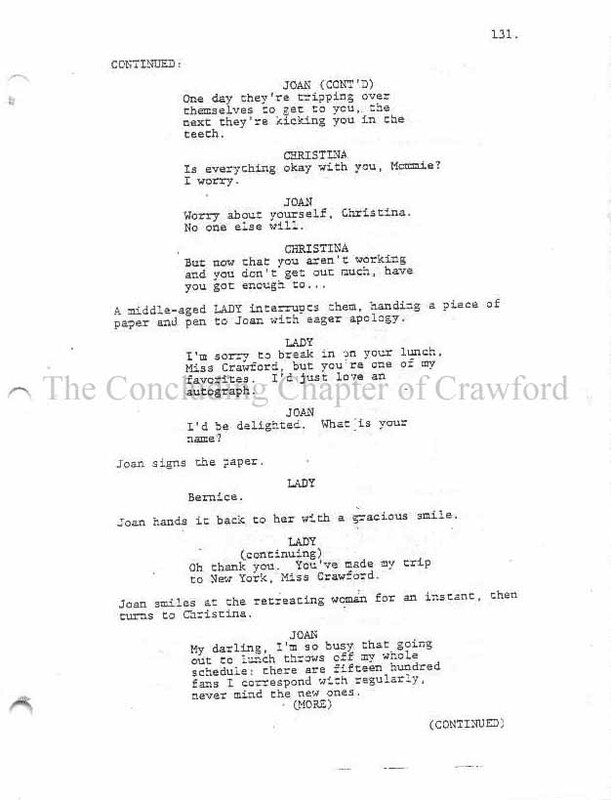 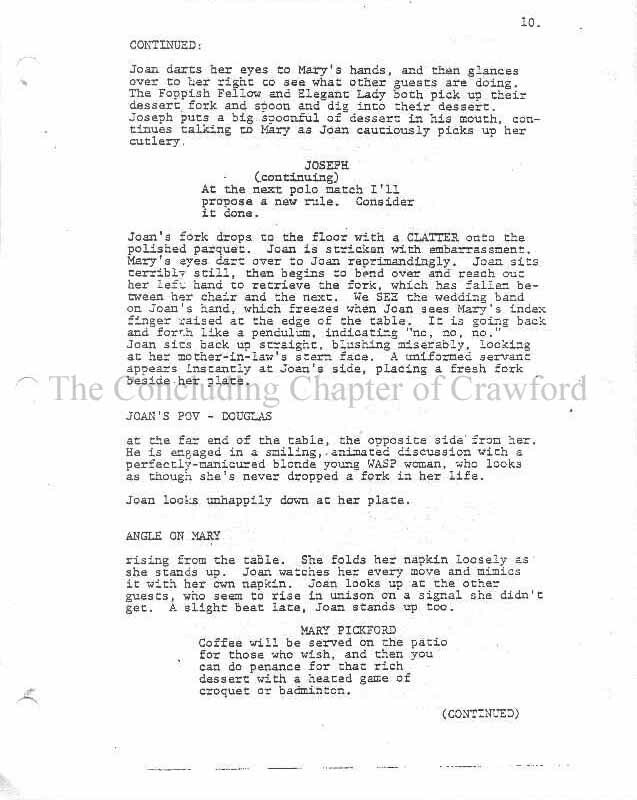 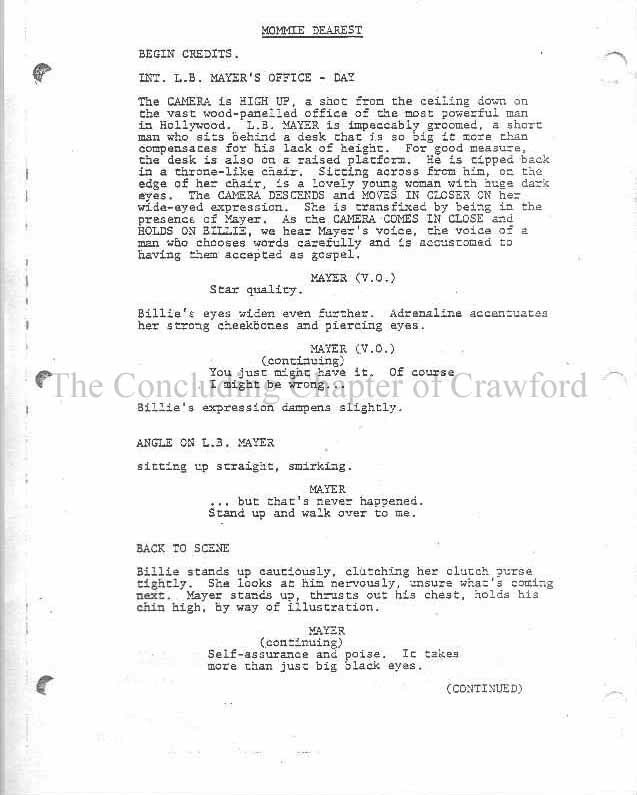 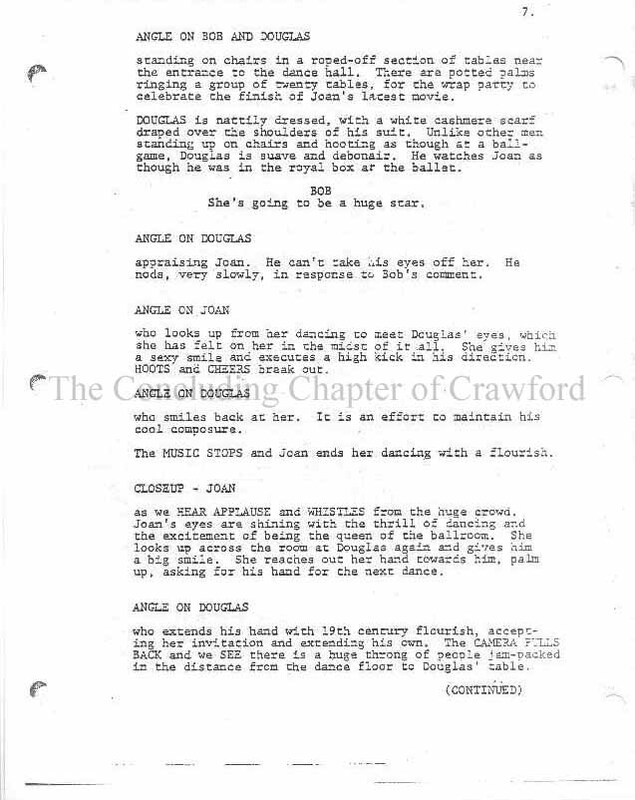 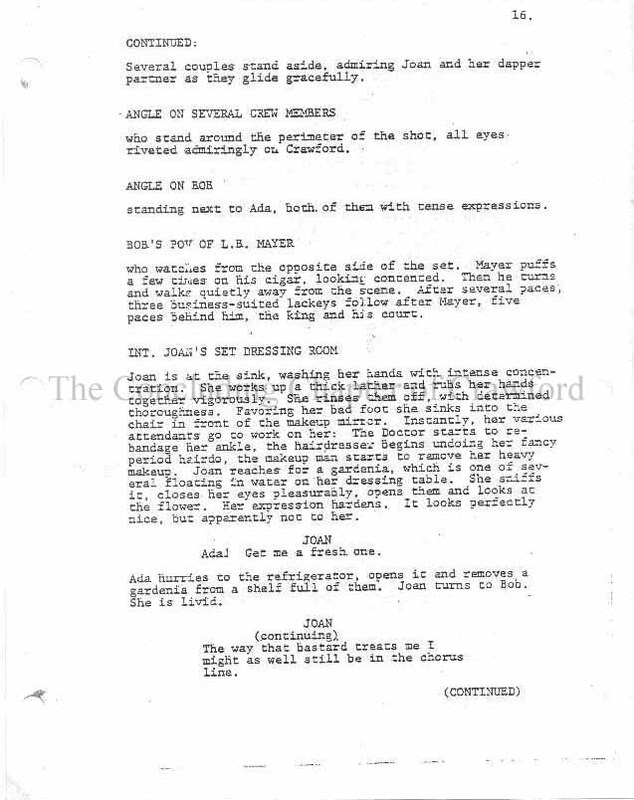 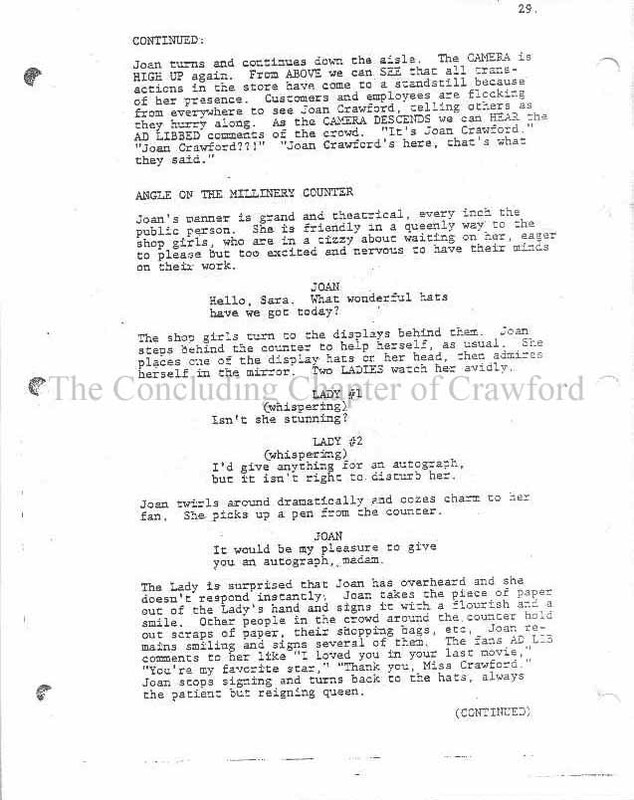 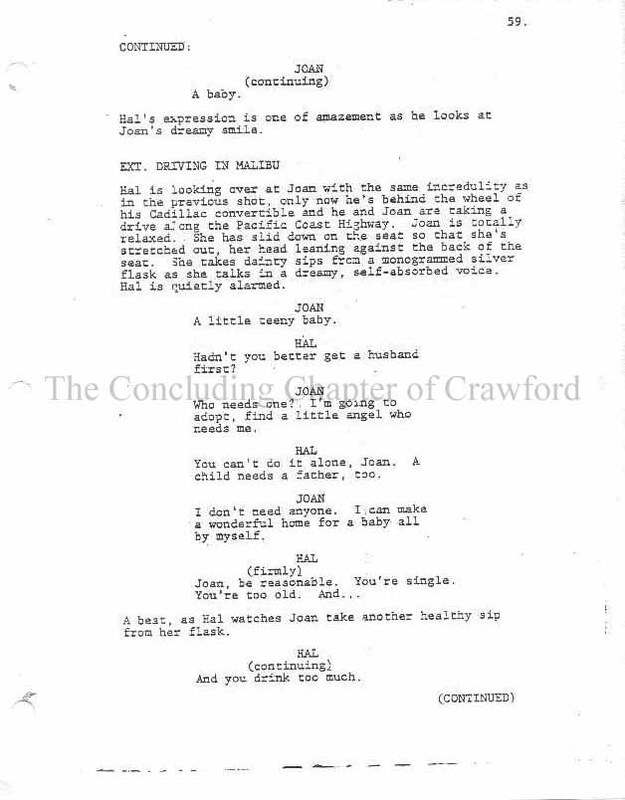 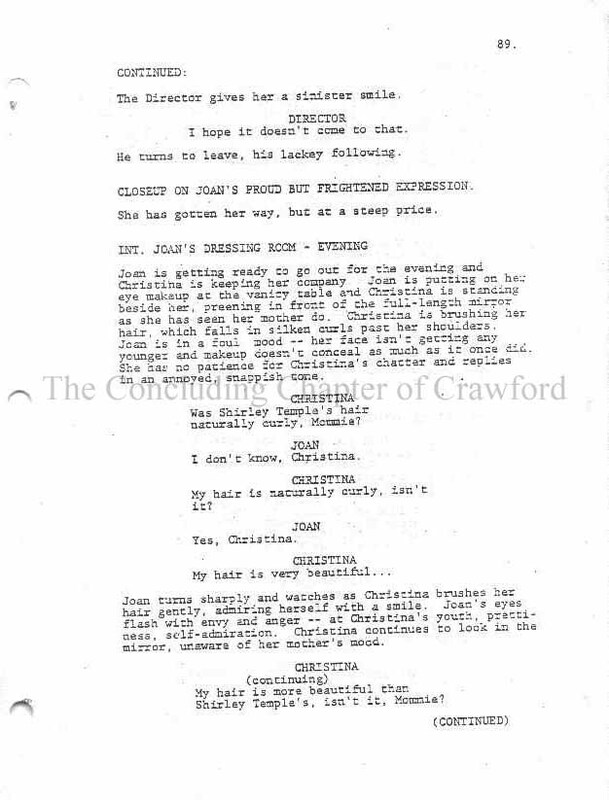 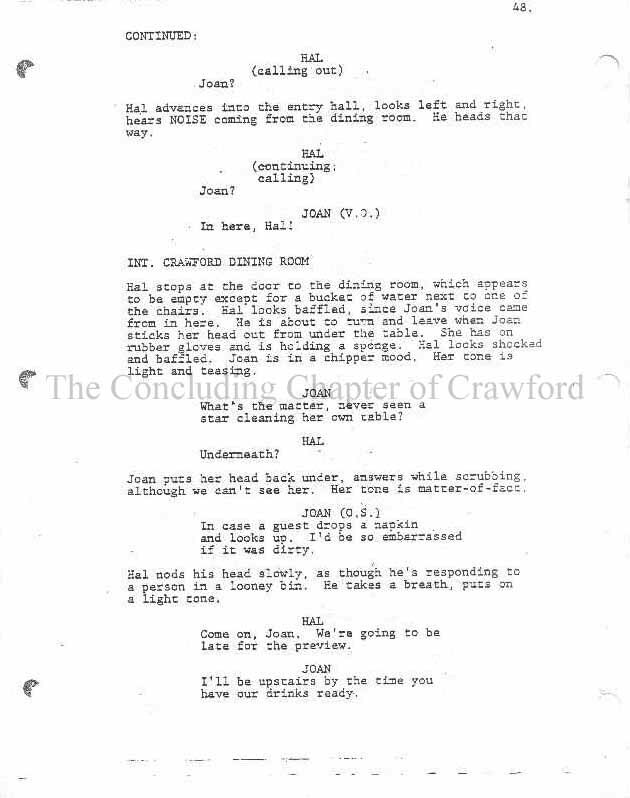 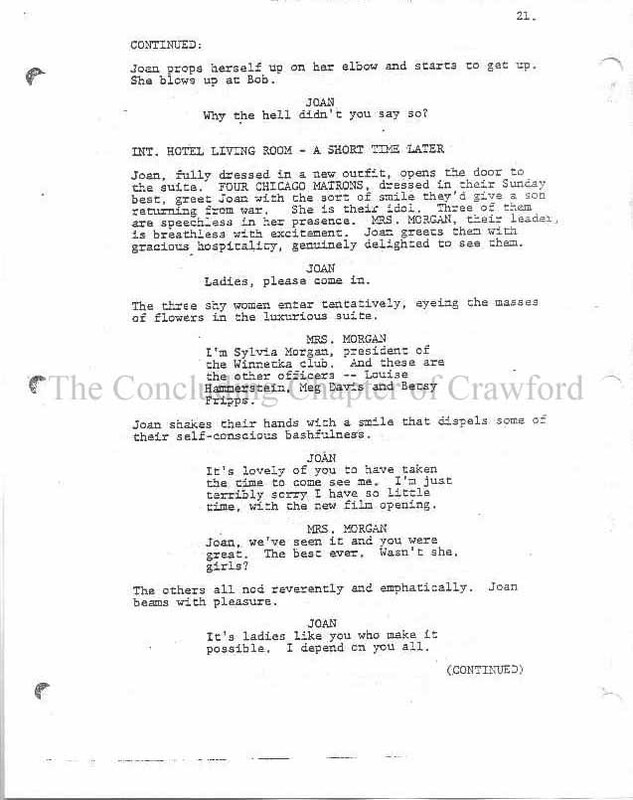 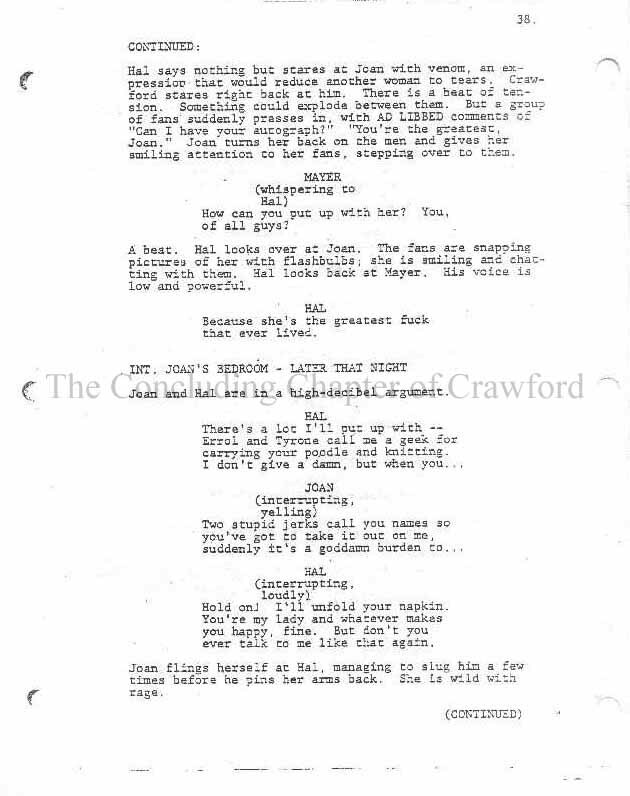 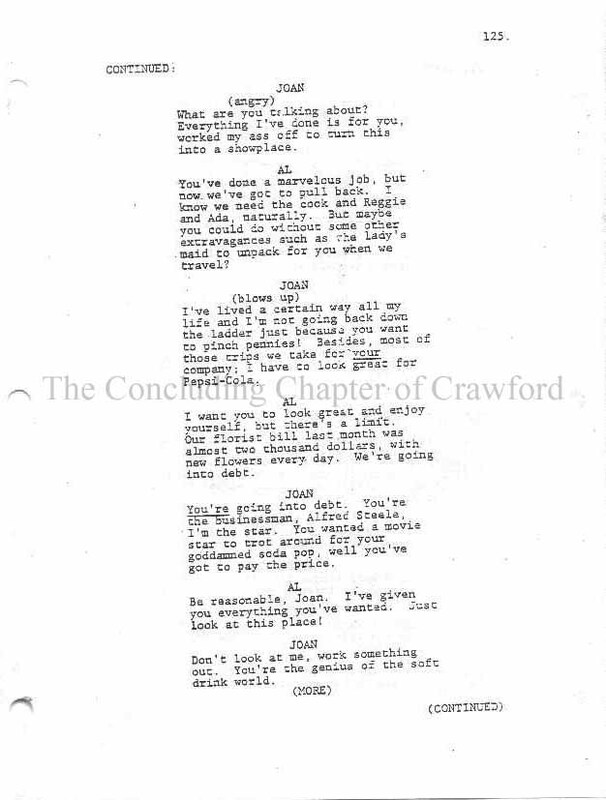 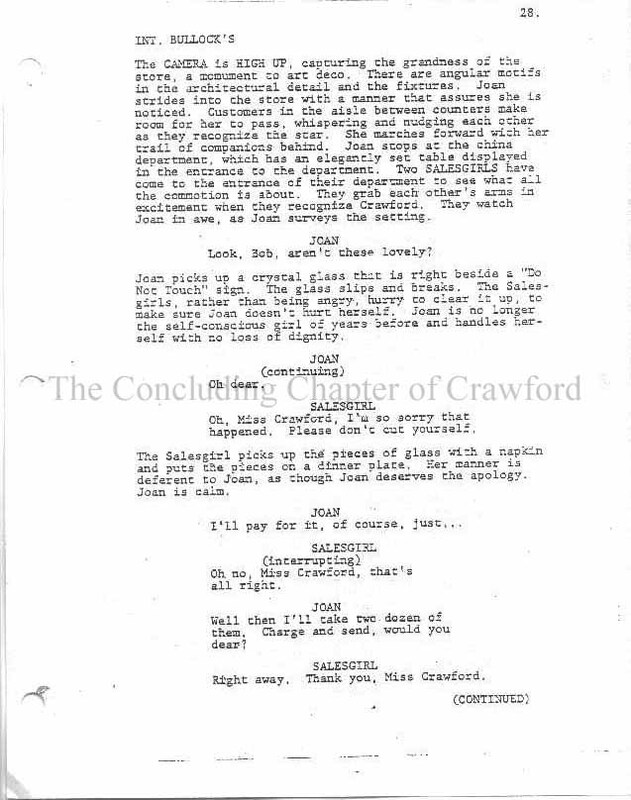 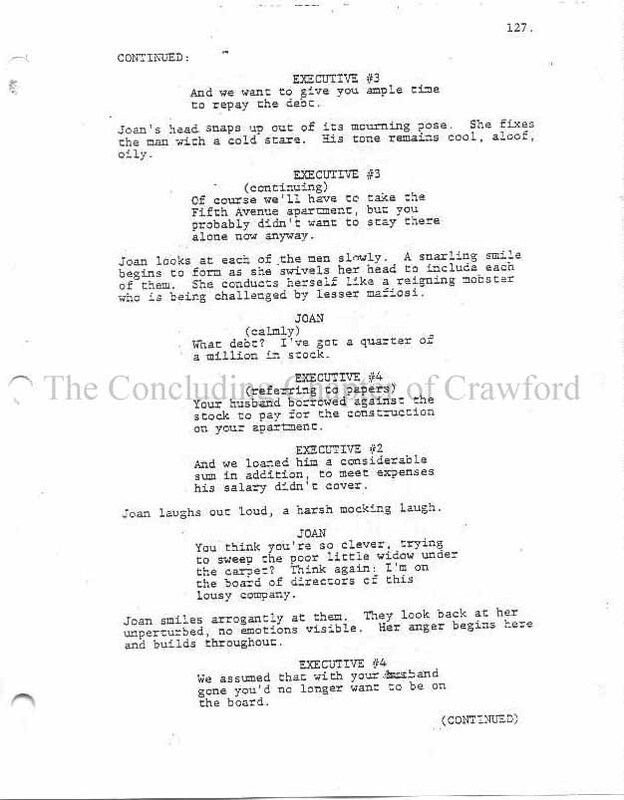 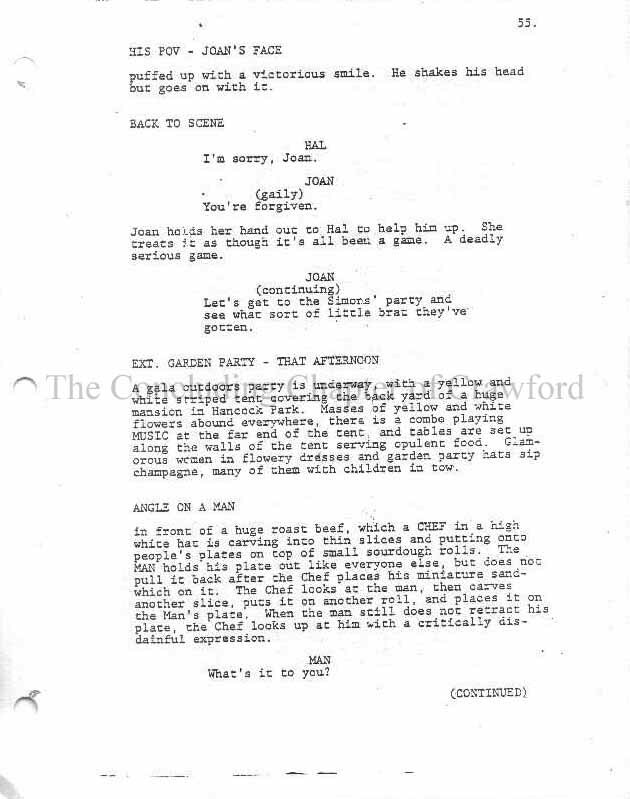 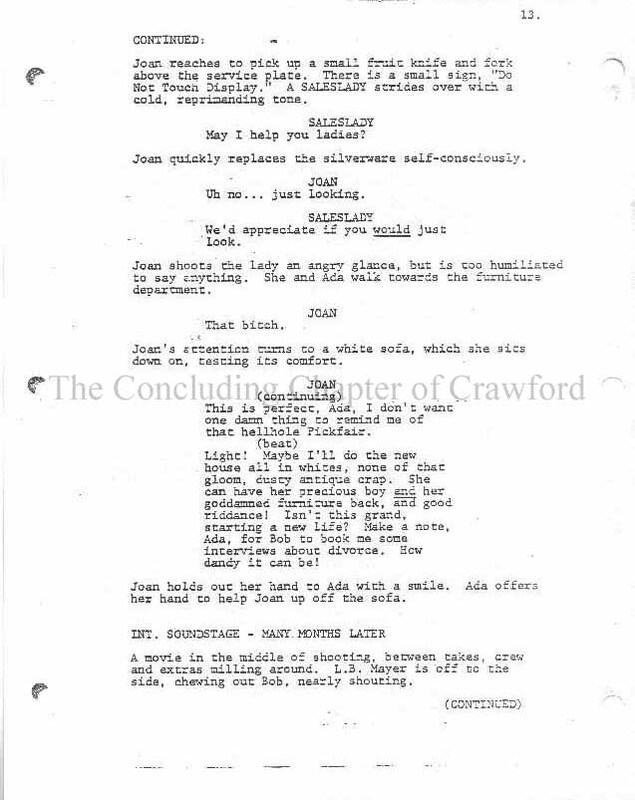 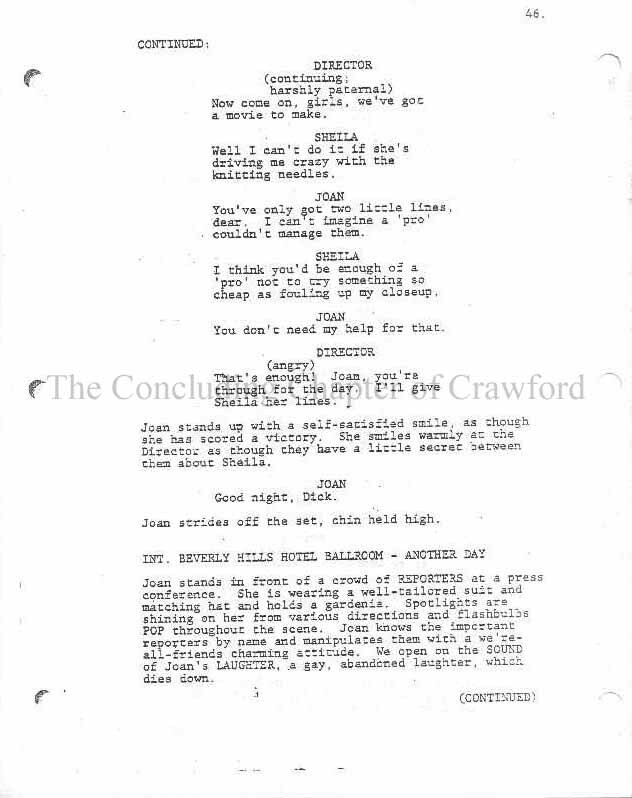 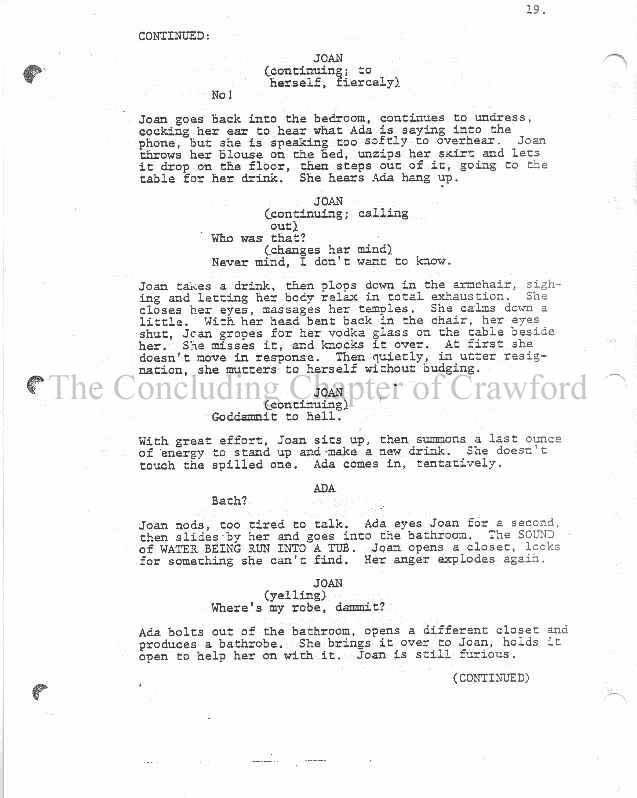 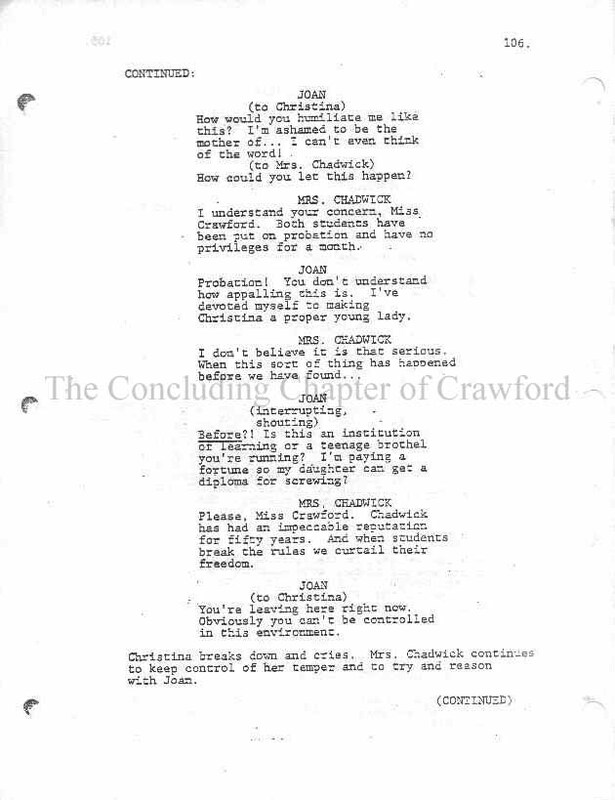 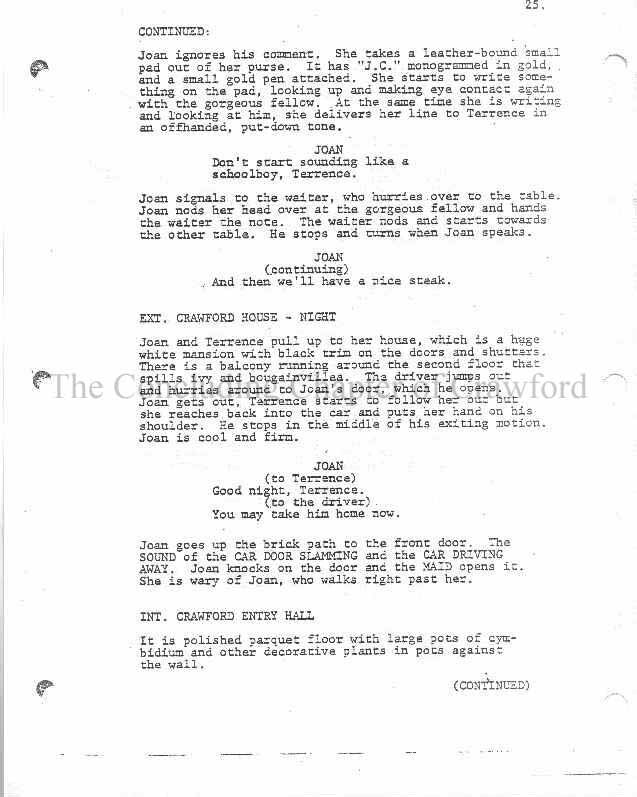 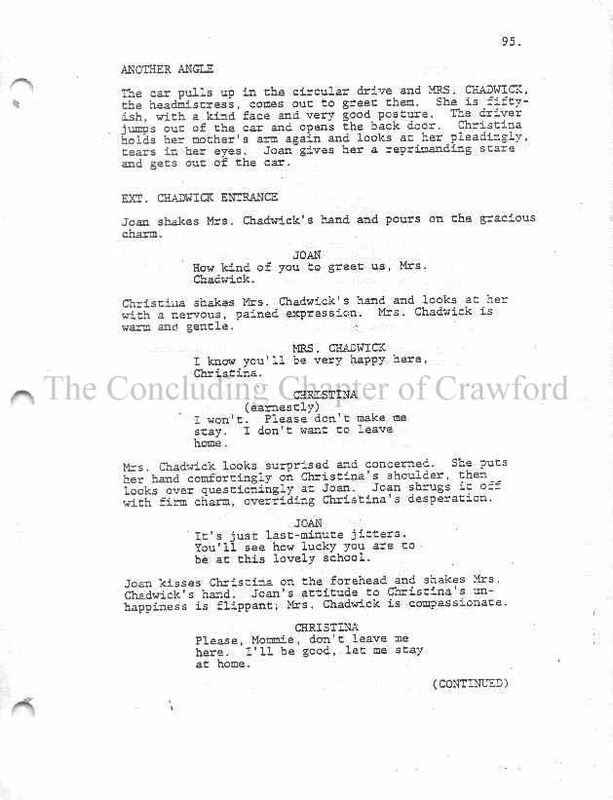 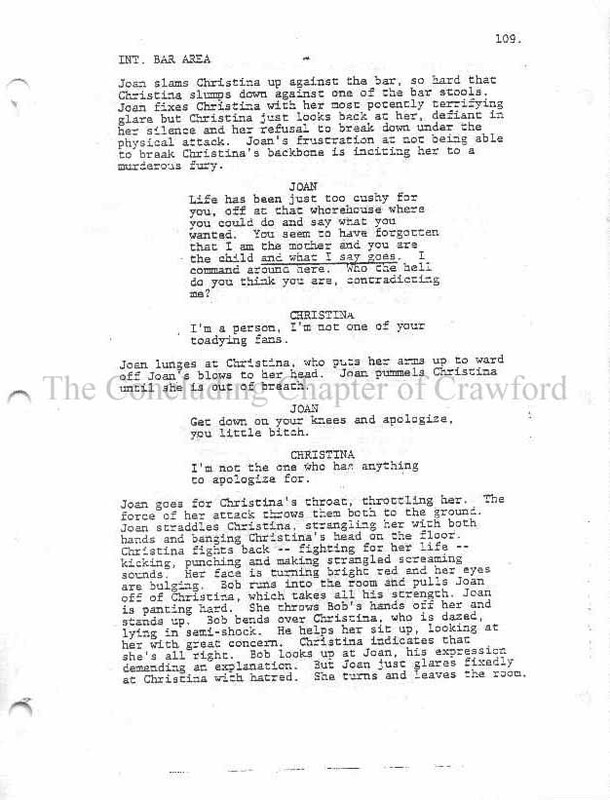 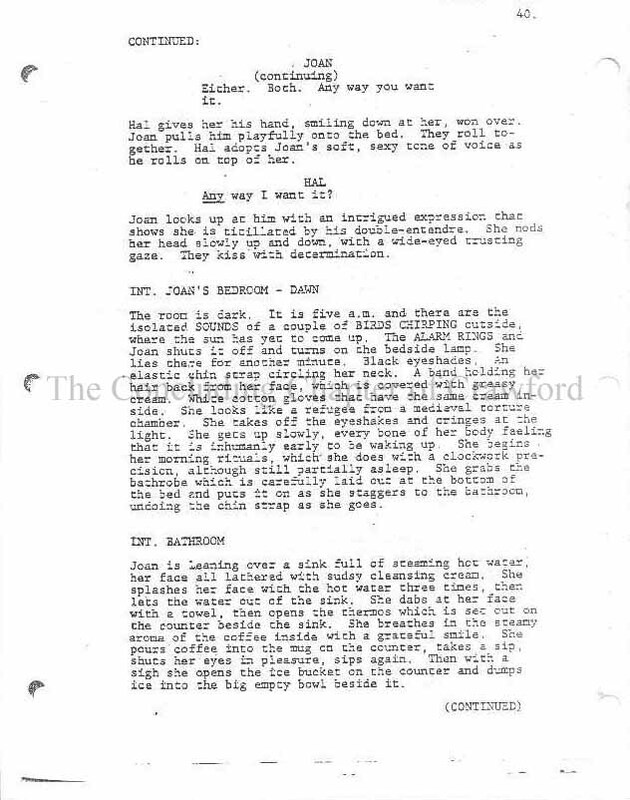 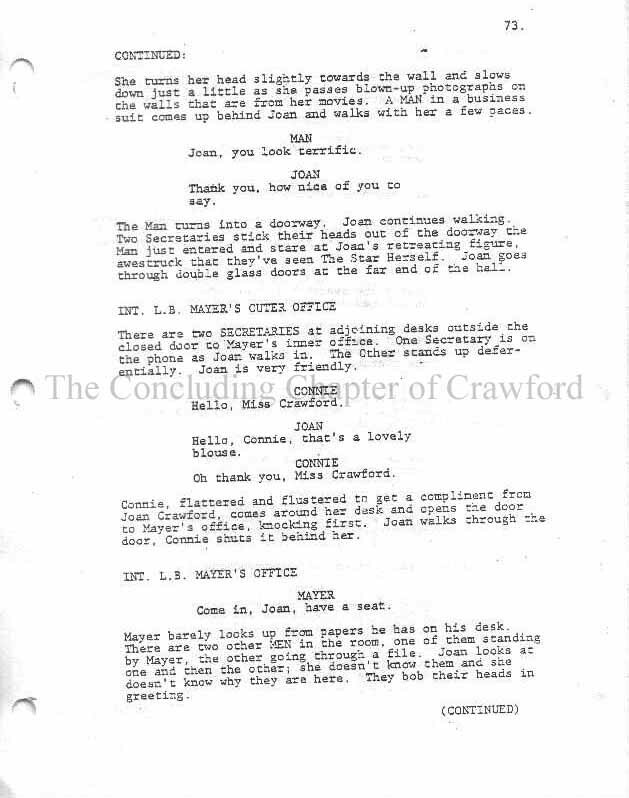 This draft was written during the period of time when actress Anne Bancroft was assigned to portray Joan Crawford. 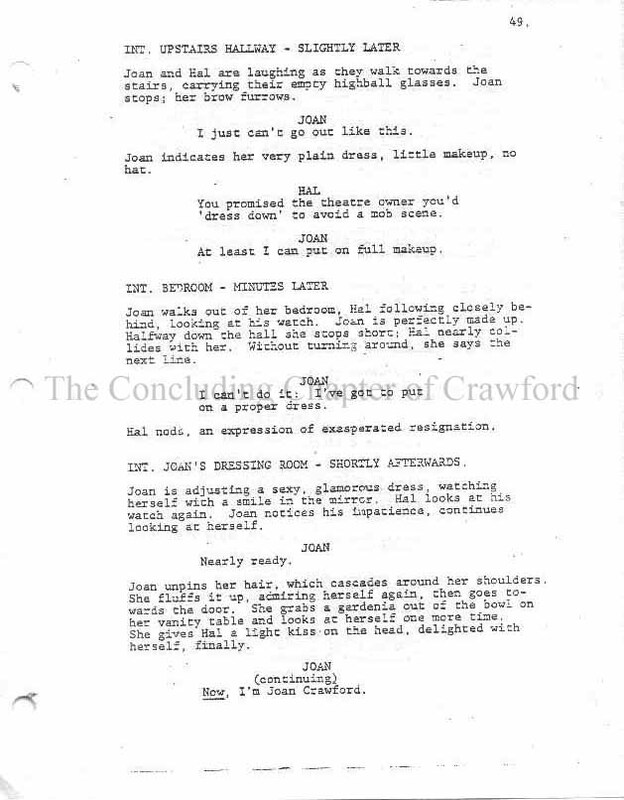 ​ following Faye Dunaway being cast in the role of "Joan Crawford"​​​​.